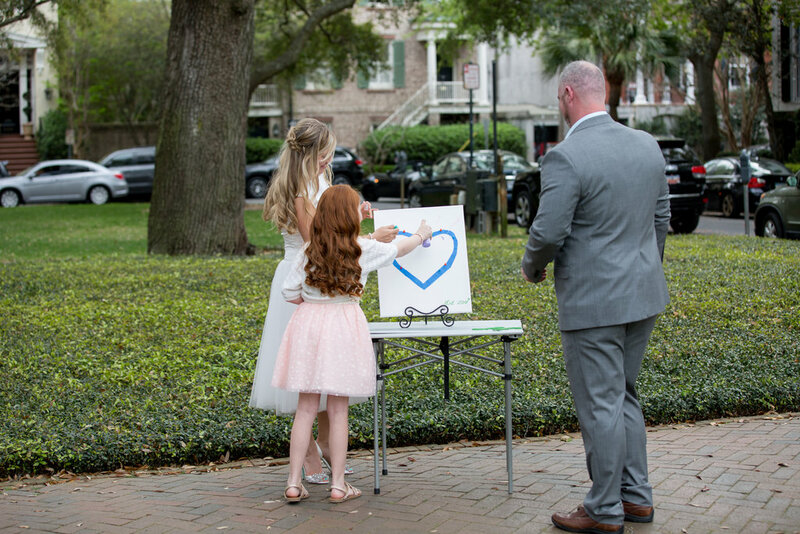 Our next five squares are also very popular. 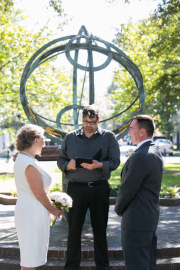 We did 35 ceremonies between these four squares- 18 in Whitefield, 8 in Pulaski, 4 in Chatham and 4 in Troup. 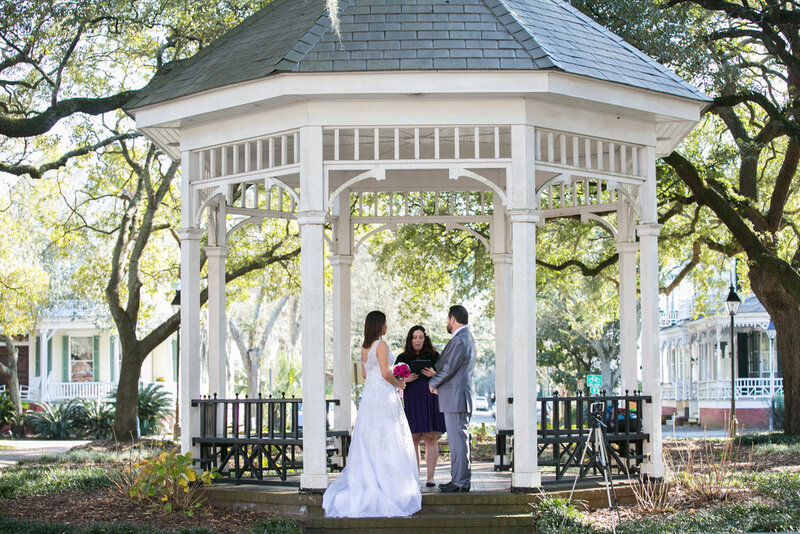 Pros: Many couples love the gazebo look for their wedding. 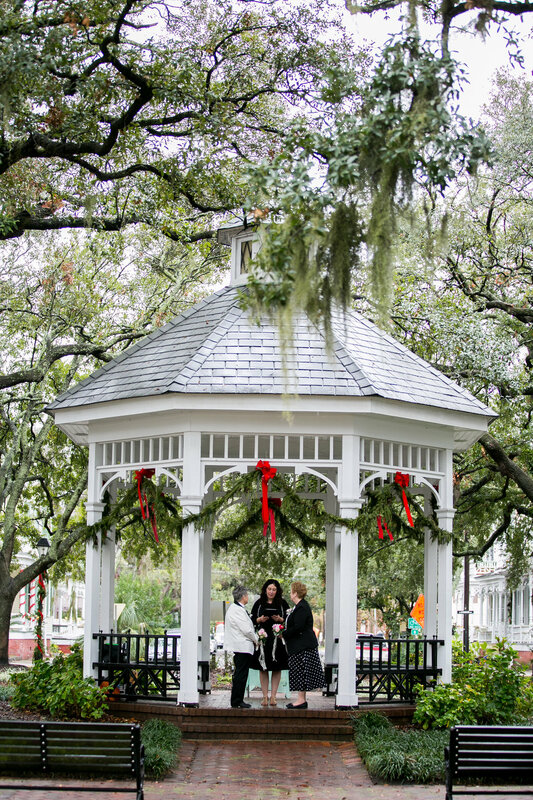 It is a great place for rainy weather. 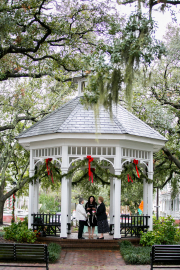 Cons: It is a popular spot for Savannah’s homeless population. 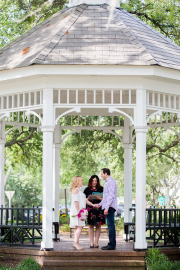 You will not be very close to your guests if you choose to stand close to the gazebo. 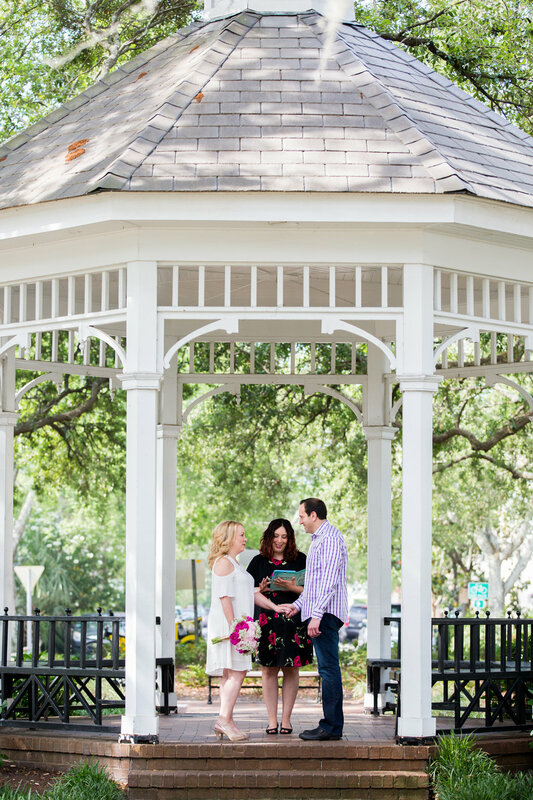 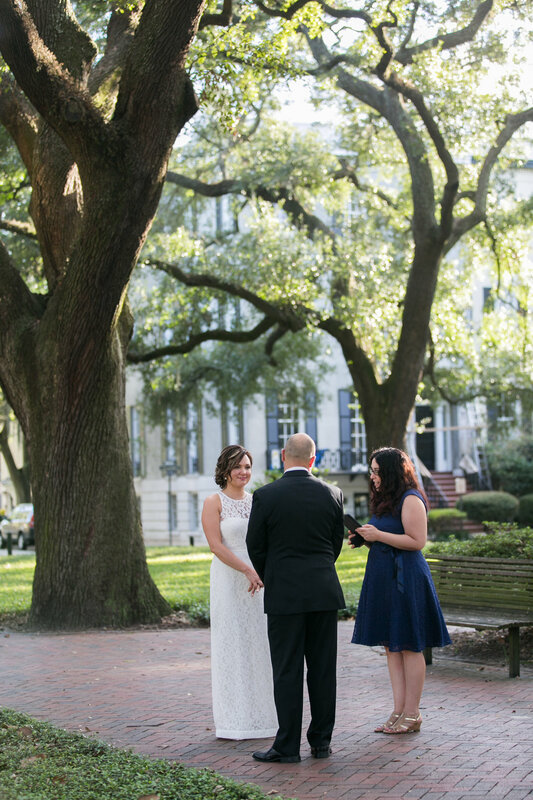 Pros: I am biased because Troup is the square I chose to be married in! I’ve found many people who identify as “nerd” types love the bright armillary in the middle of the square. 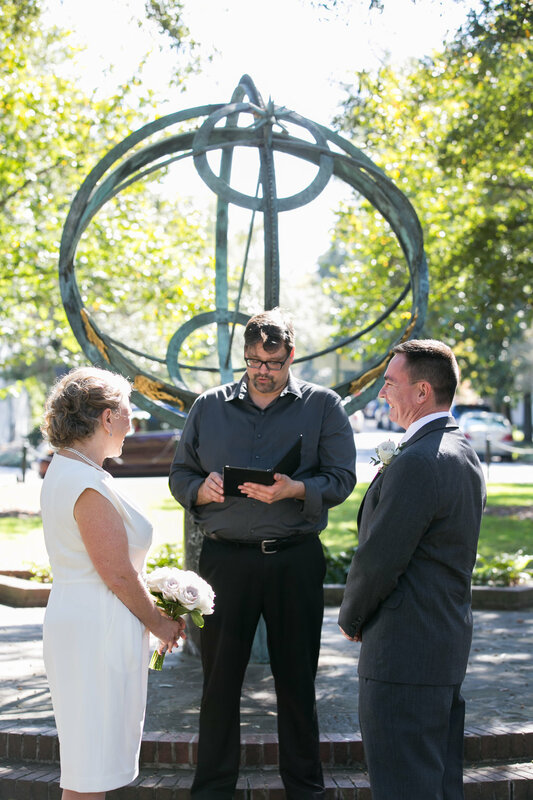 The armillary is in the center of a circle which can feel very spiritual during a ceremony. 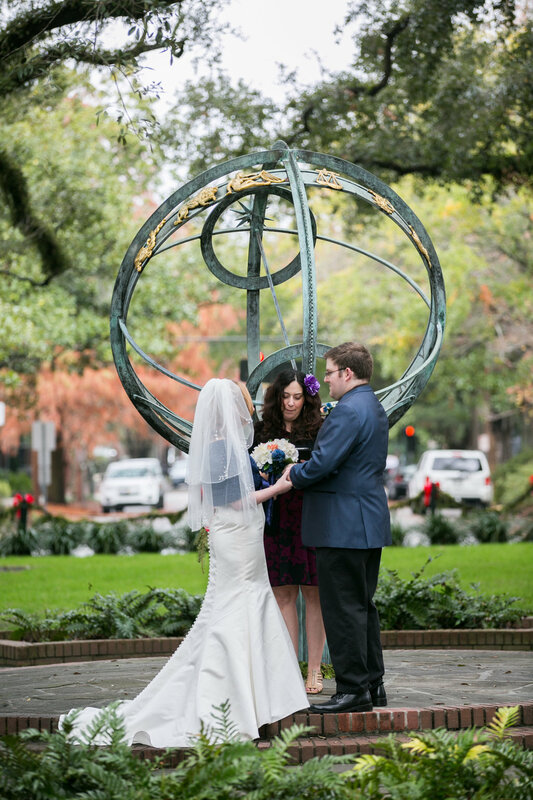 Cons: If the statue does not speak to you, I would pass. 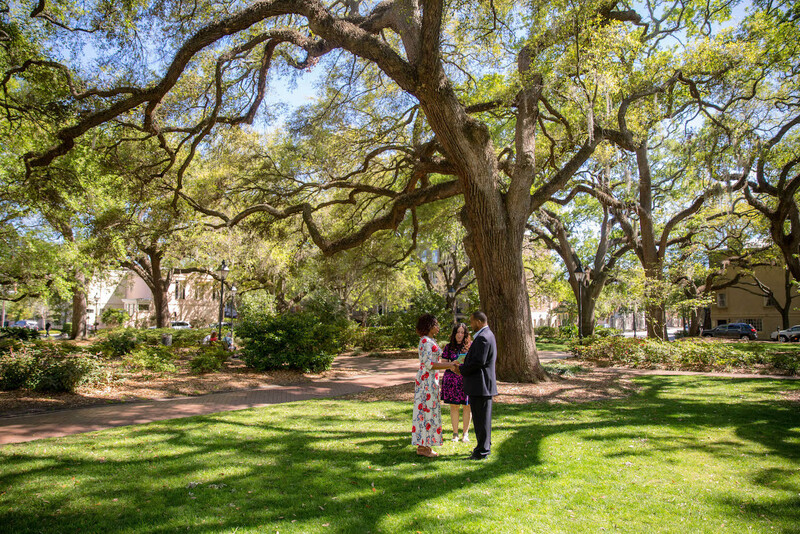 Also, it does not have the great trees that other squares have. 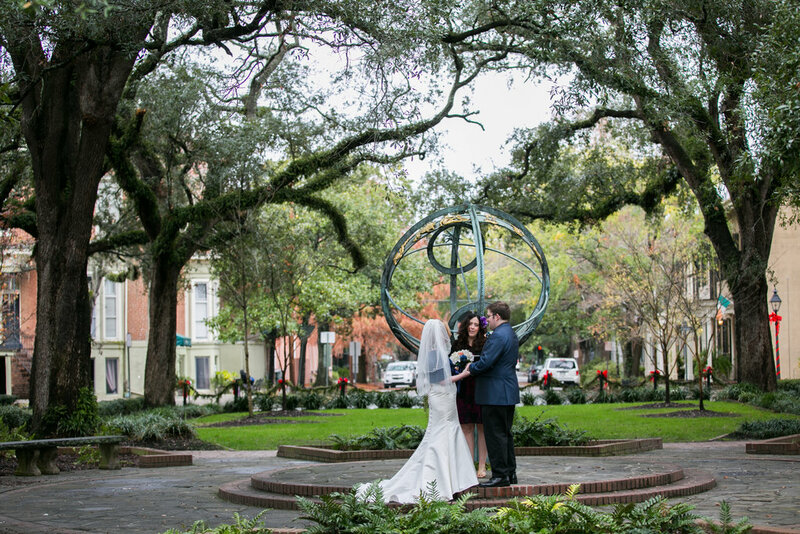 Pros: The trees are symmetrical! 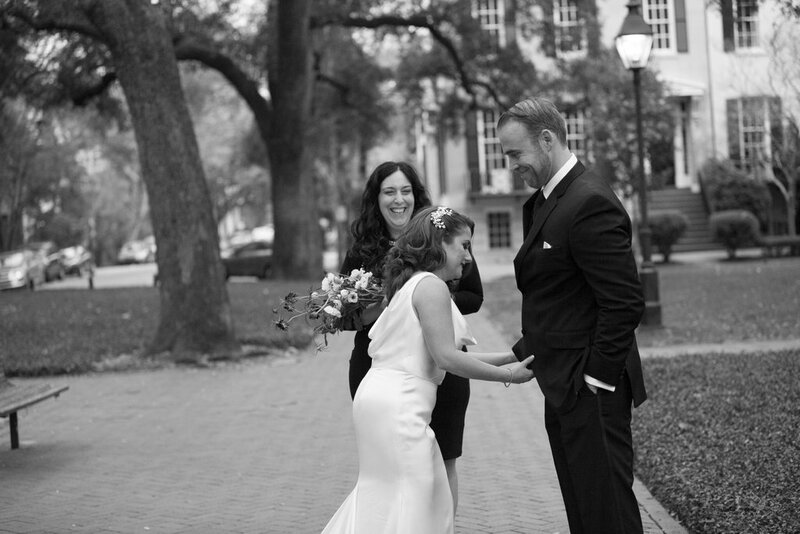 And gorgeous! 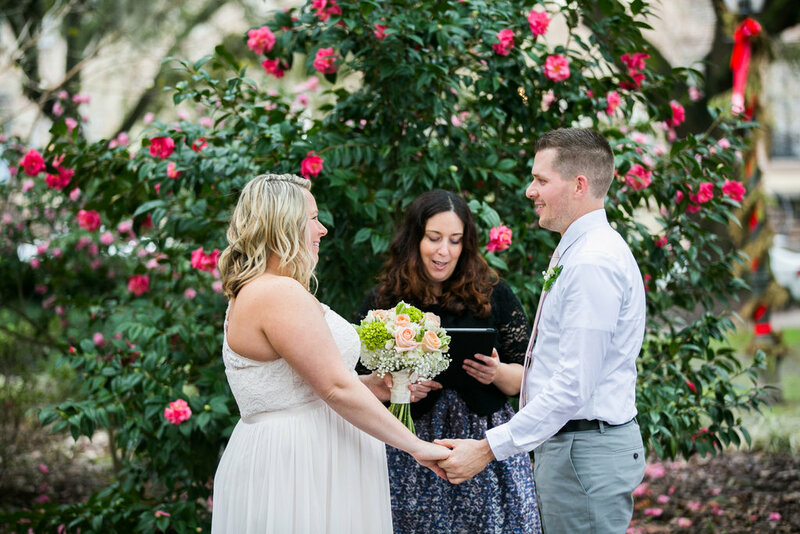 Every May, a bush of pink flowers appear for a week which are great for photos. 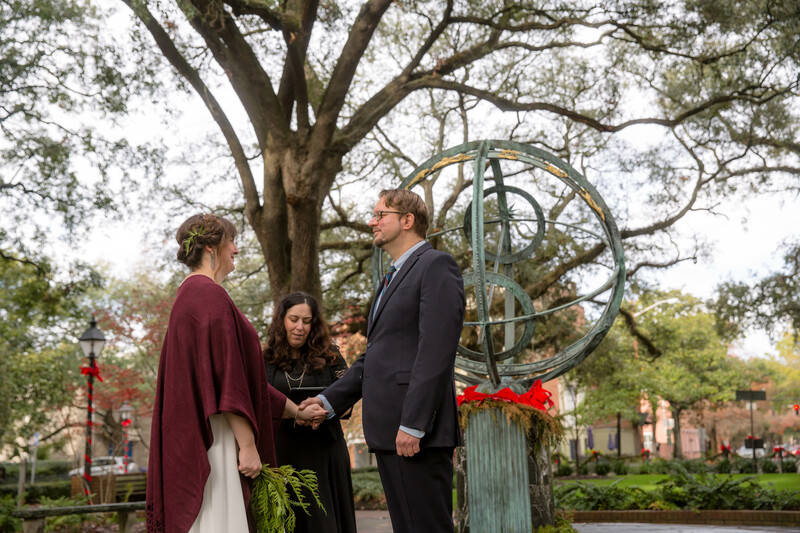 Cons: Some of the best places to have ceremonies are in the pathways, which can feel awkward. Pros: Lots of trees, if not as symmetrical as Pulaski. 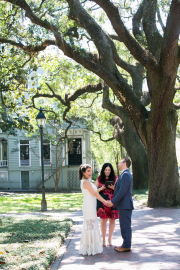 However, people love some of the specific trees in Chatham Square. 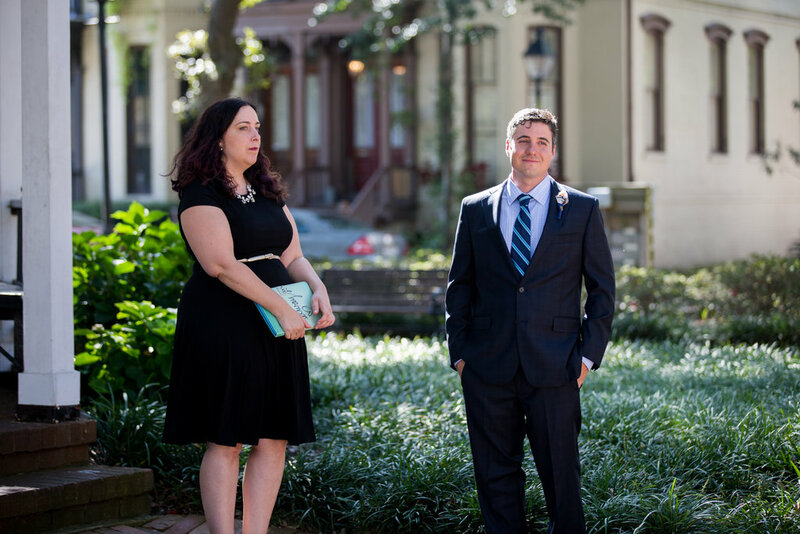 Cons: Same as Pulaski Square. 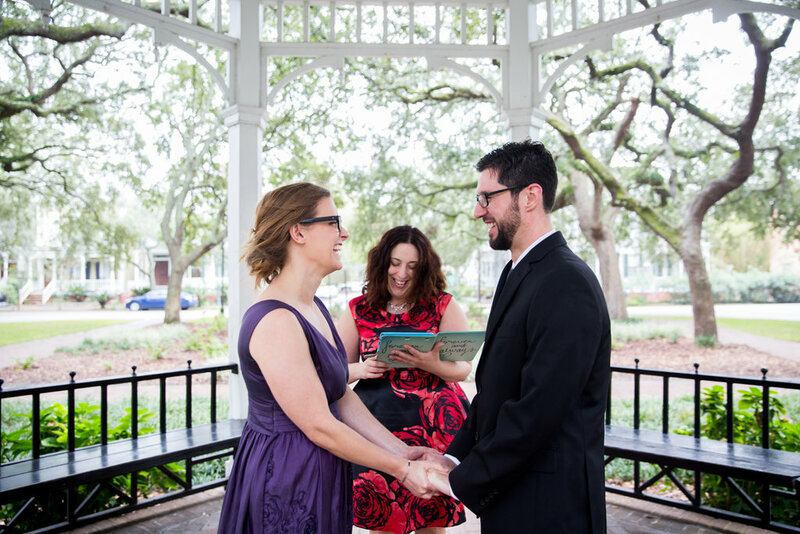 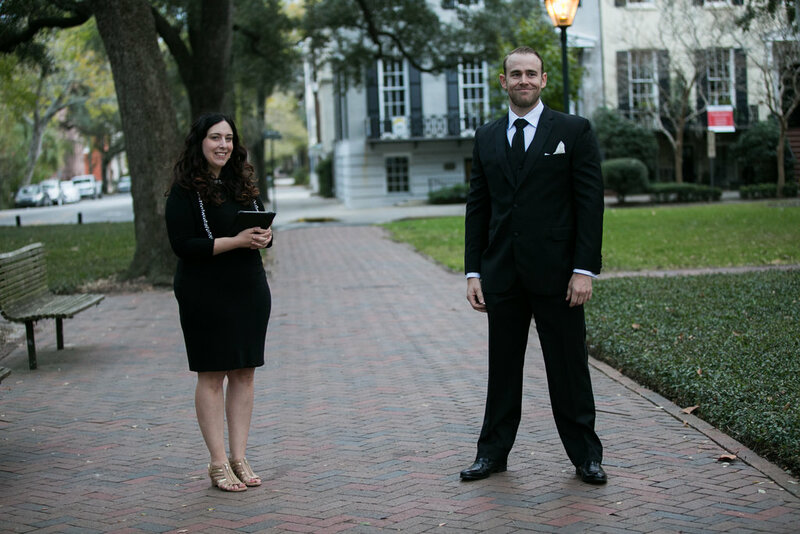 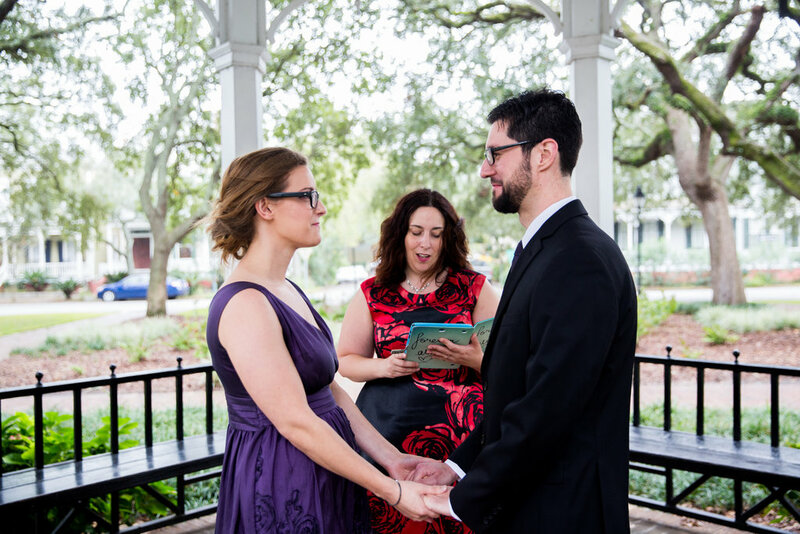 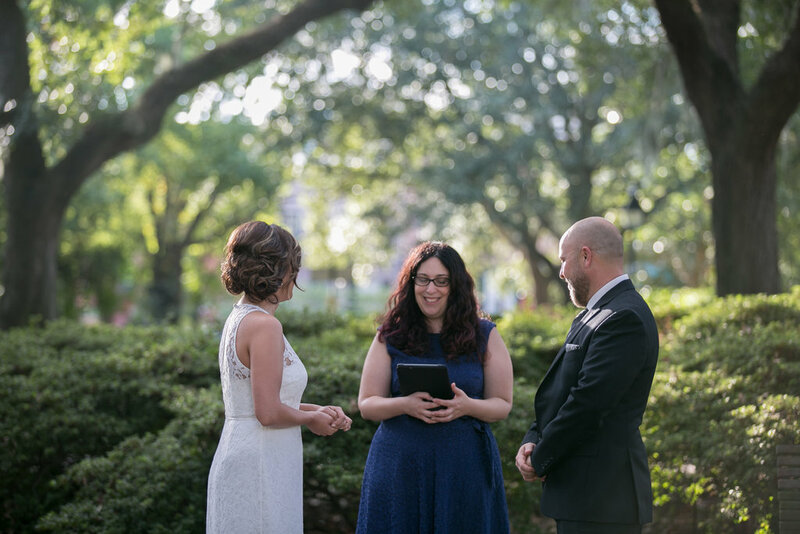 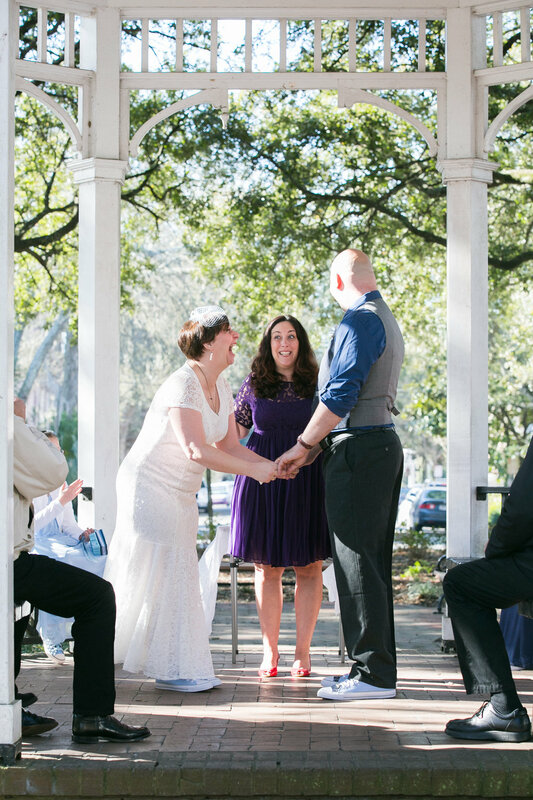 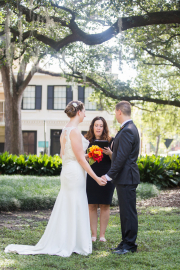 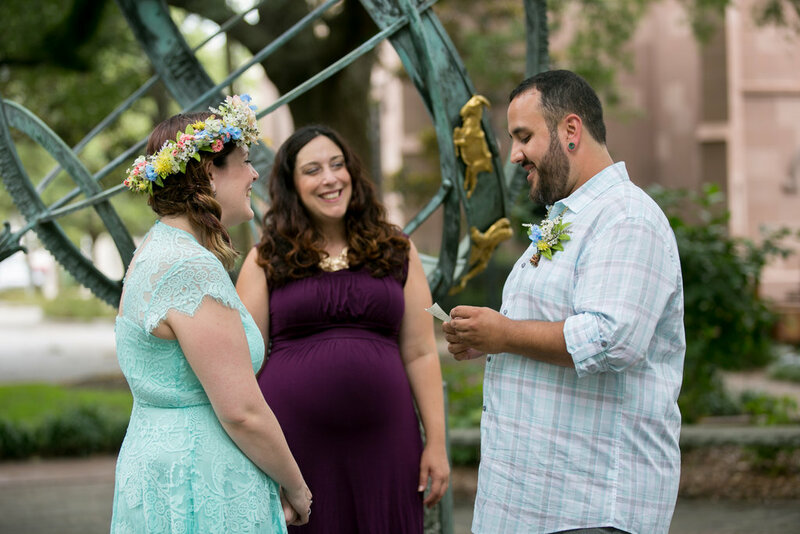 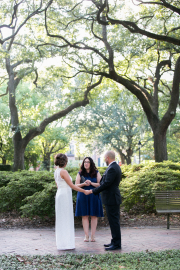 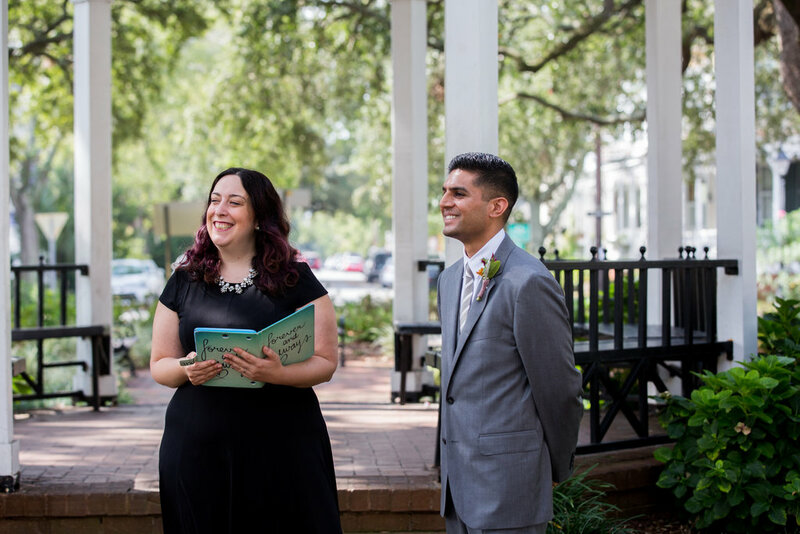 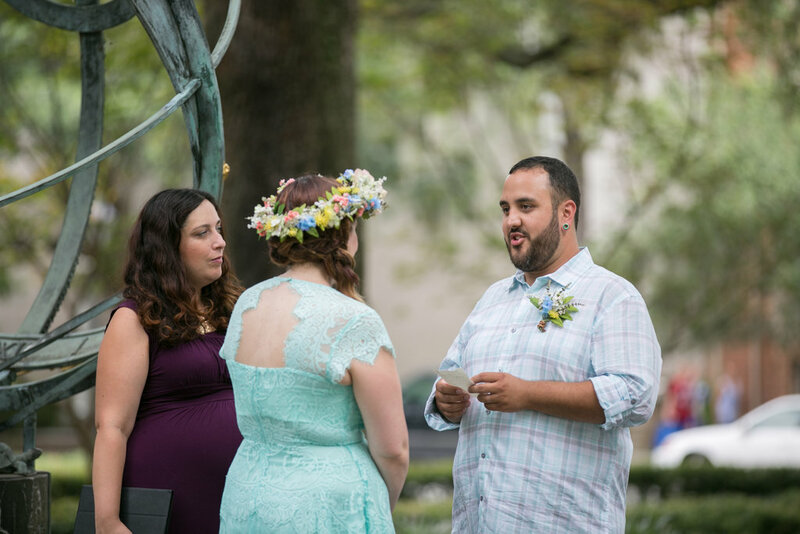 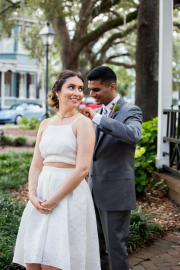 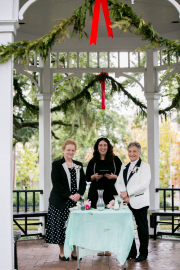 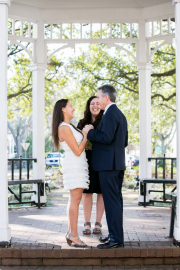 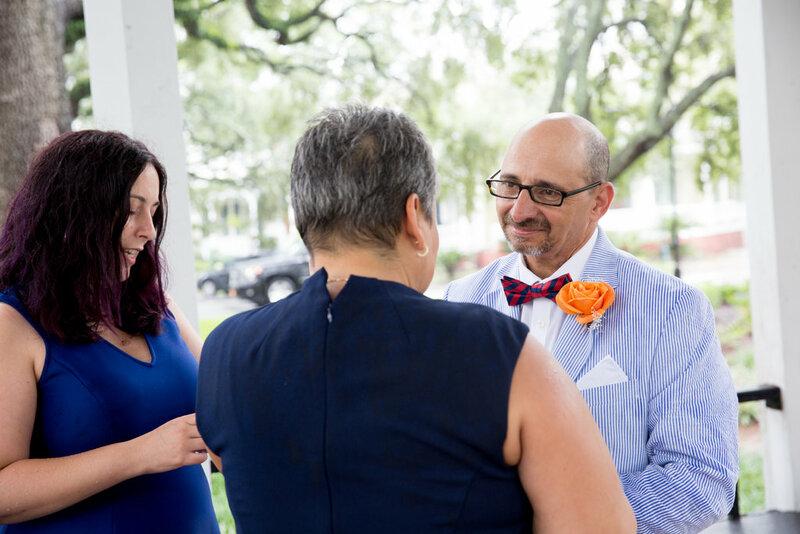 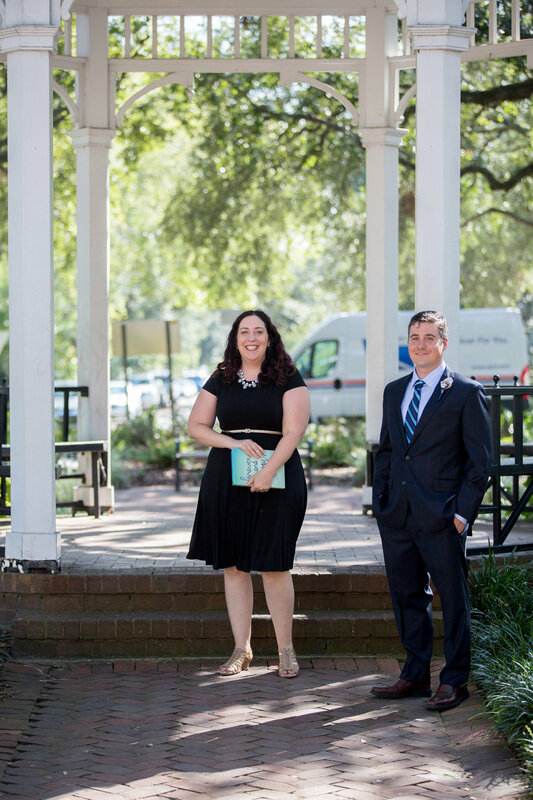 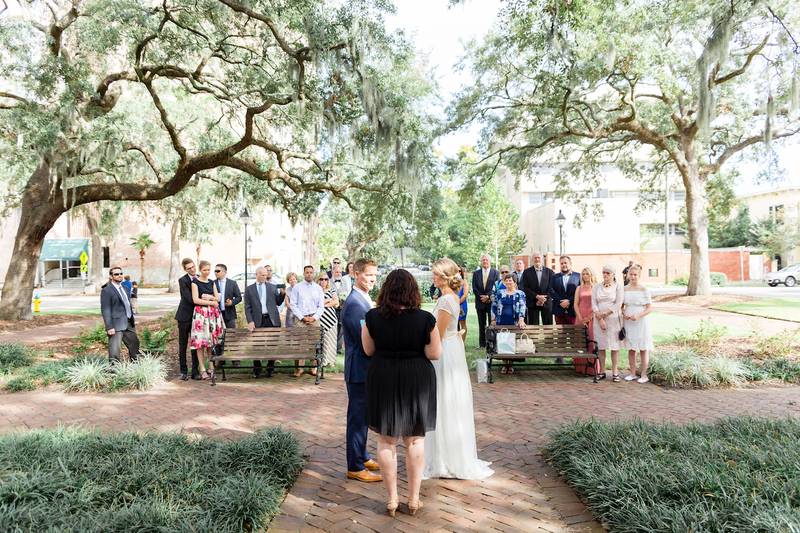 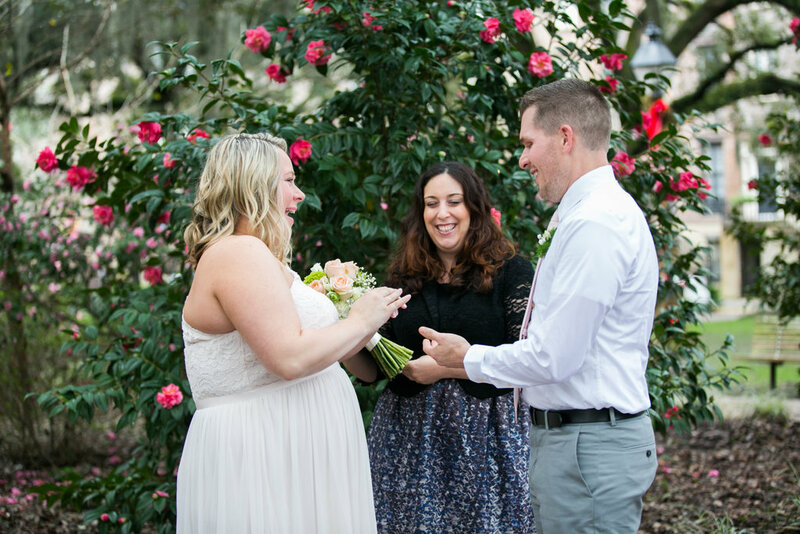 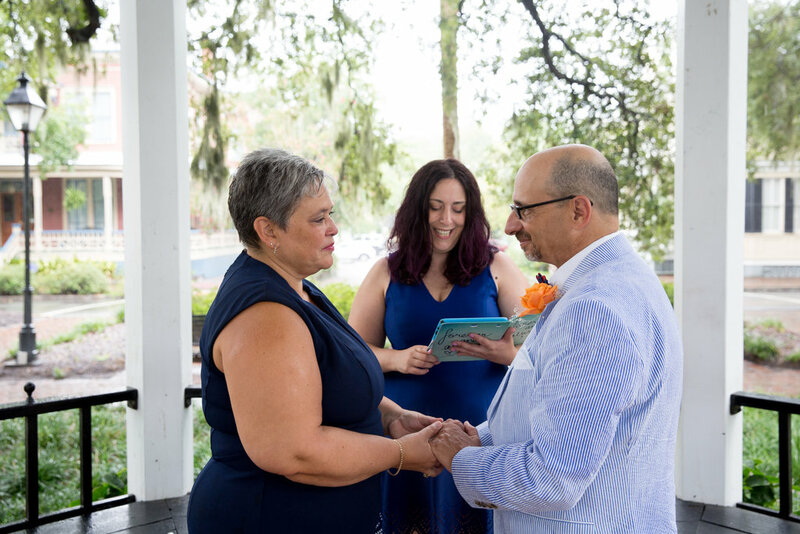 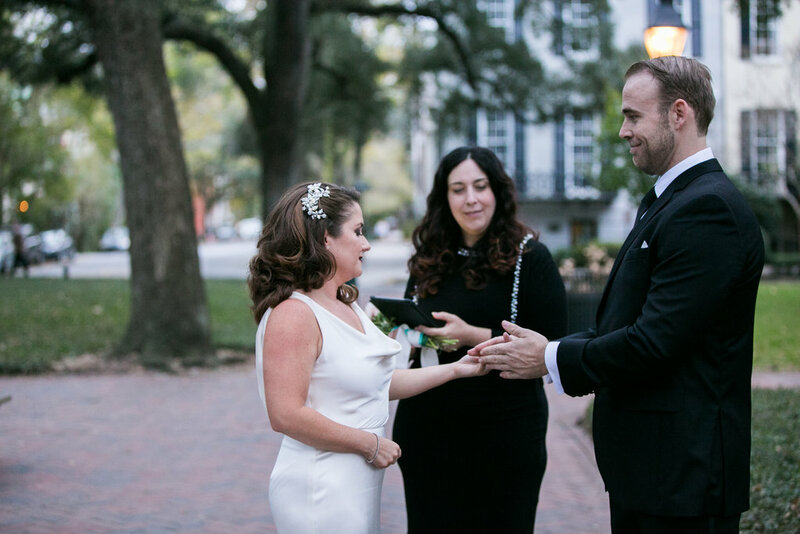 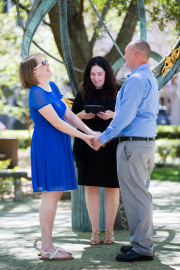 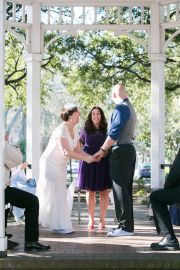 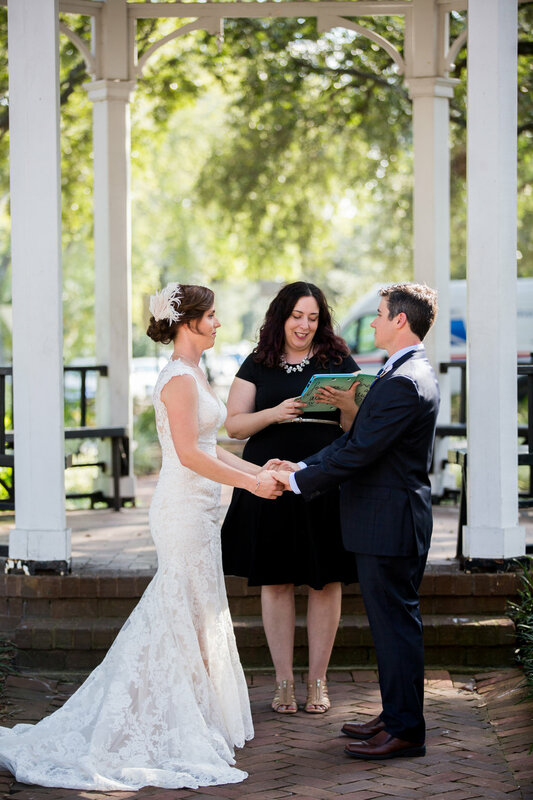 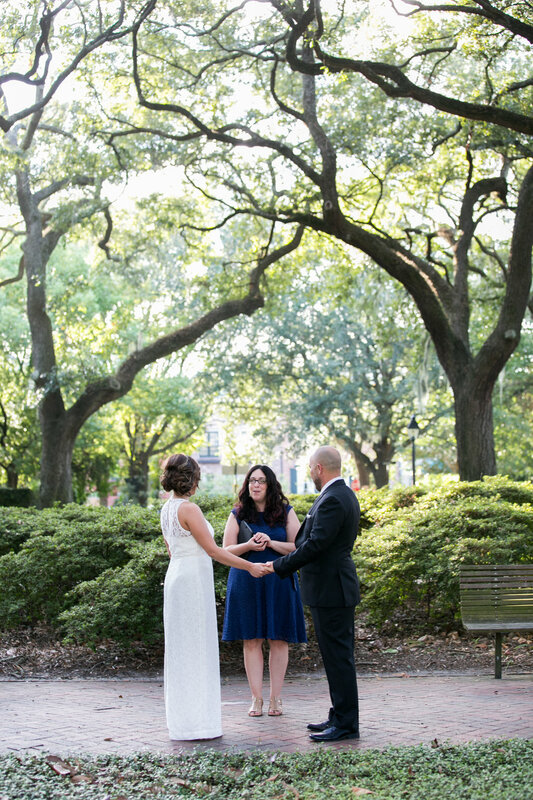 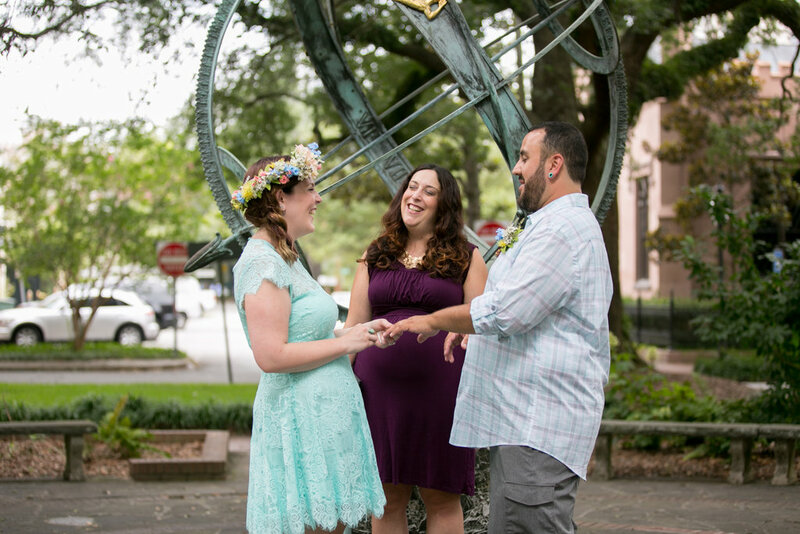 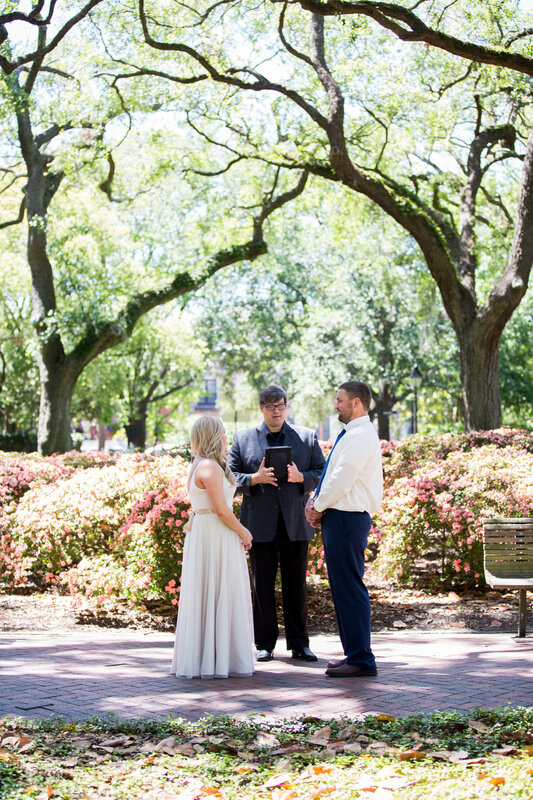 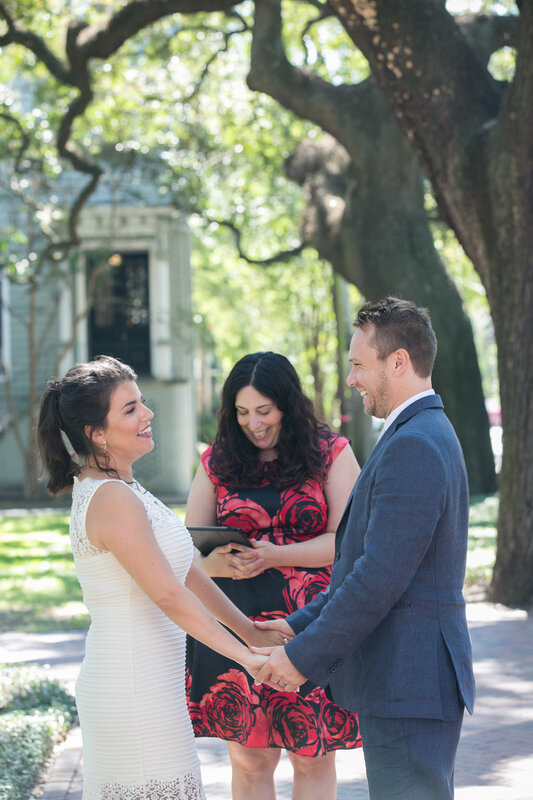 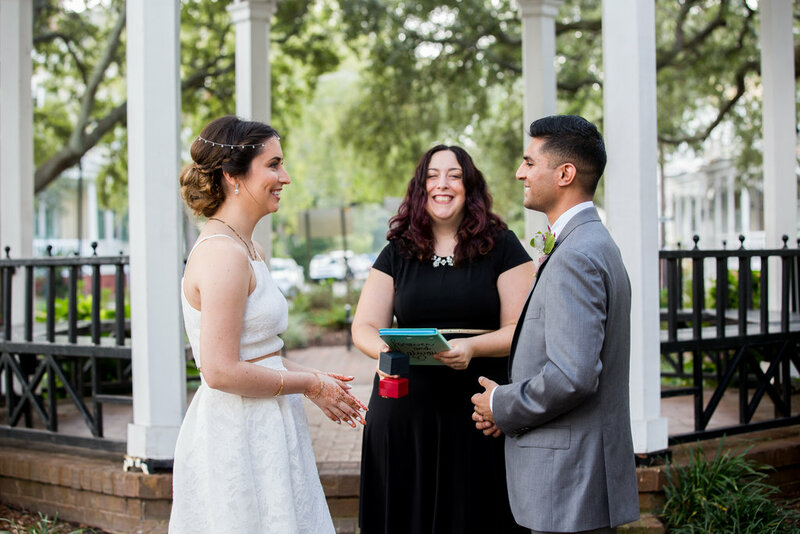 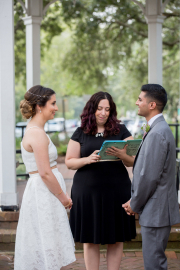 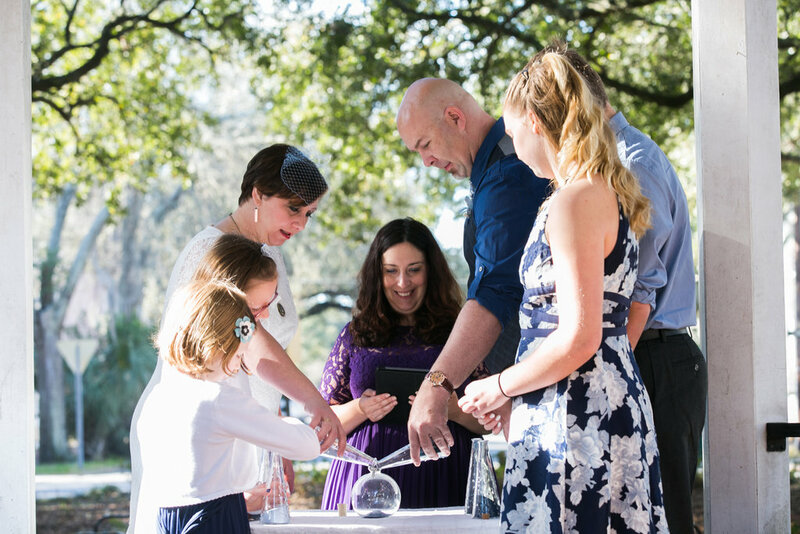 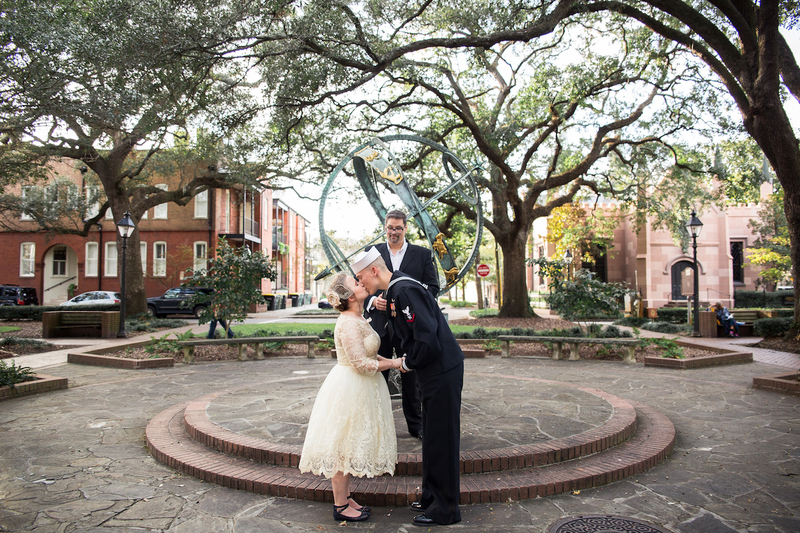 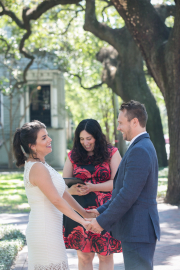 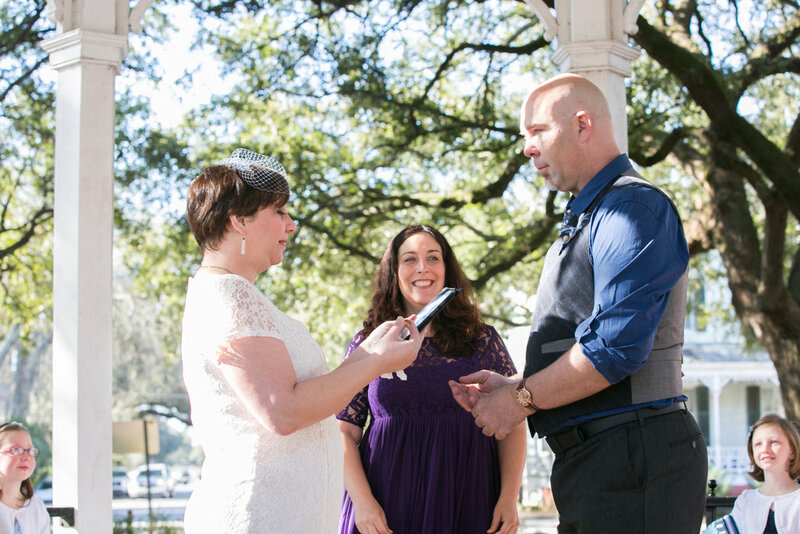 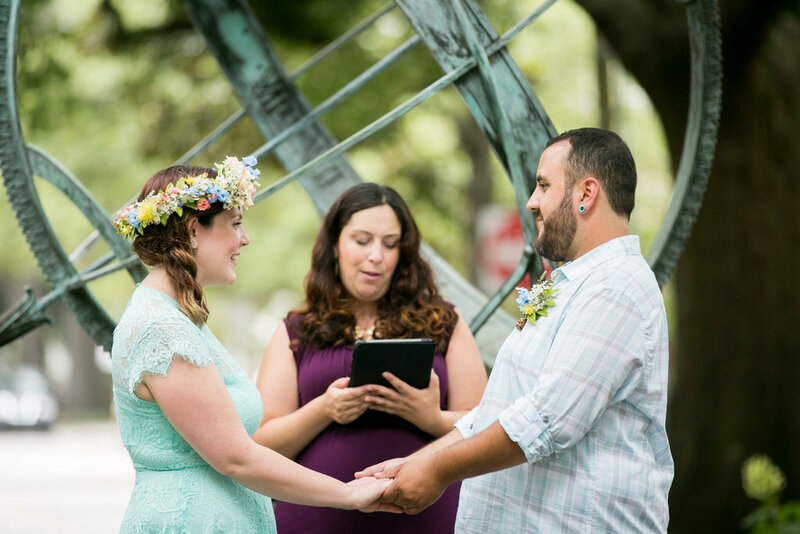 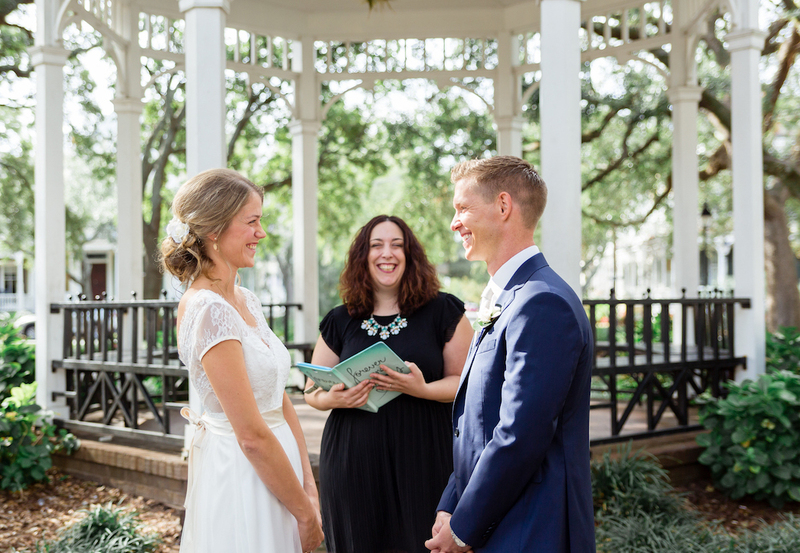 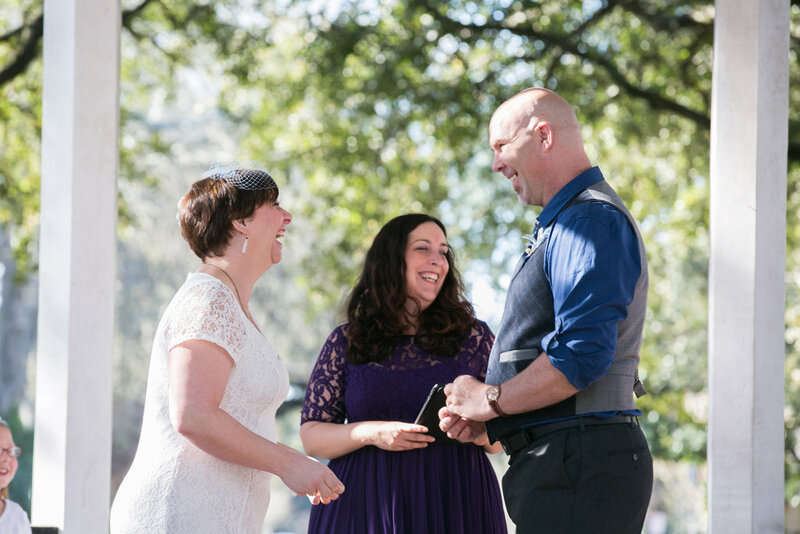 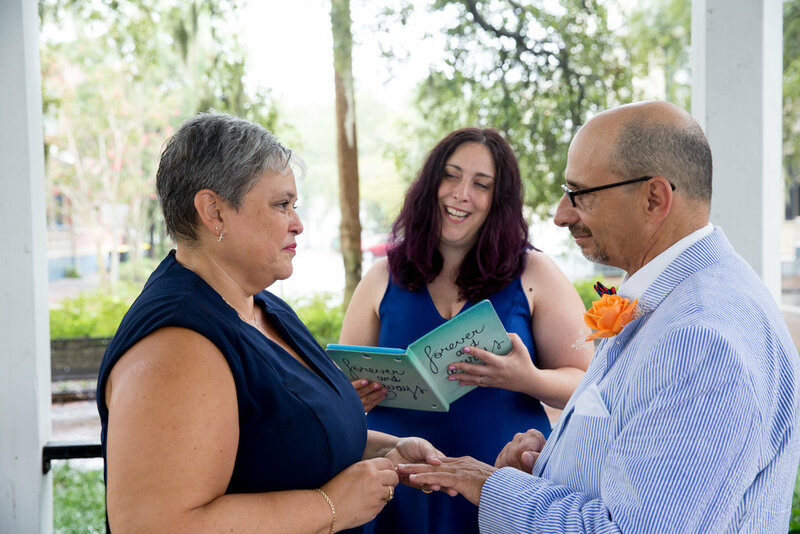 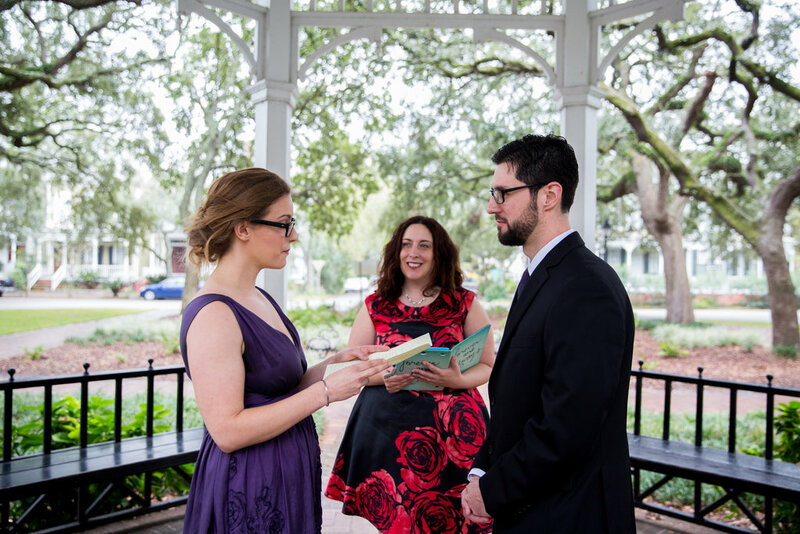 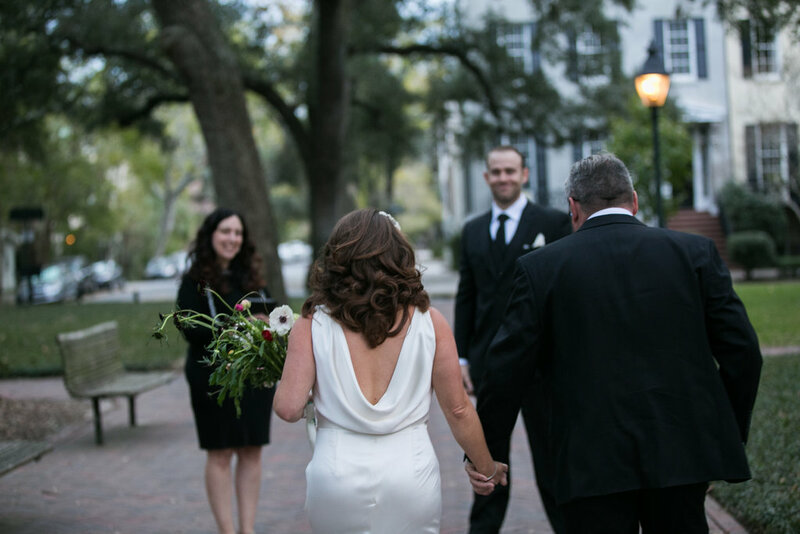 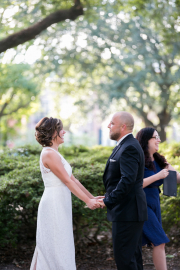 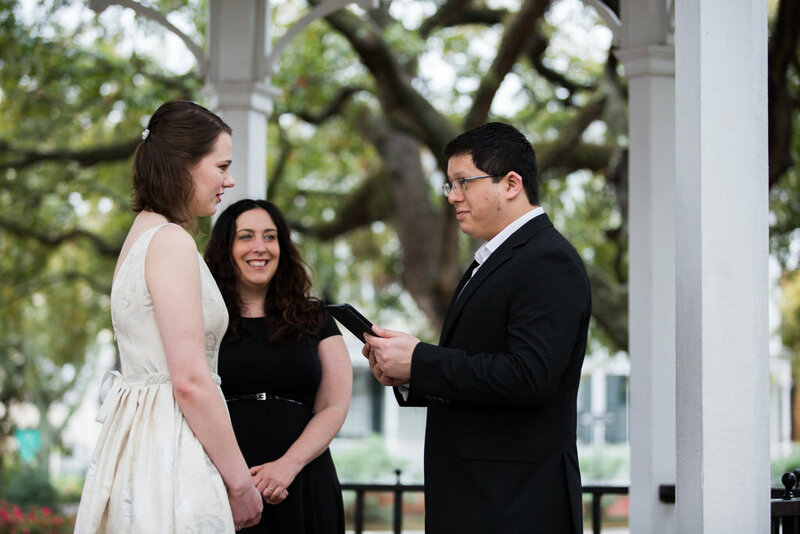 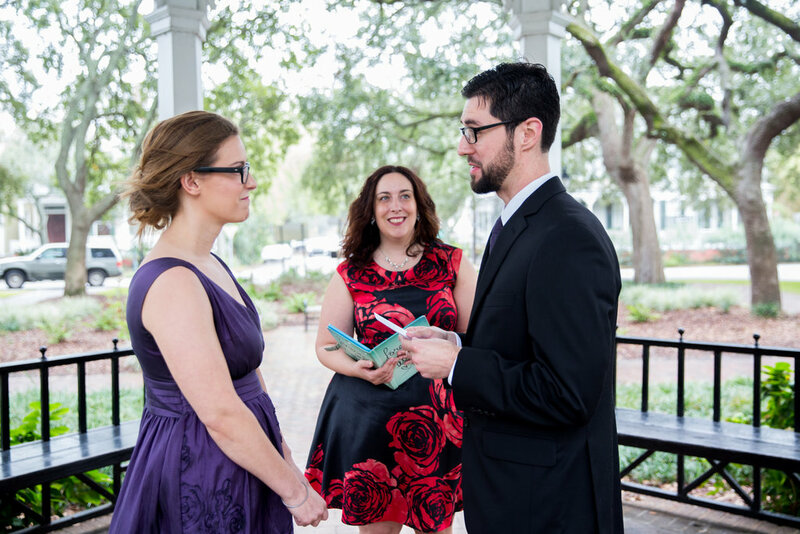 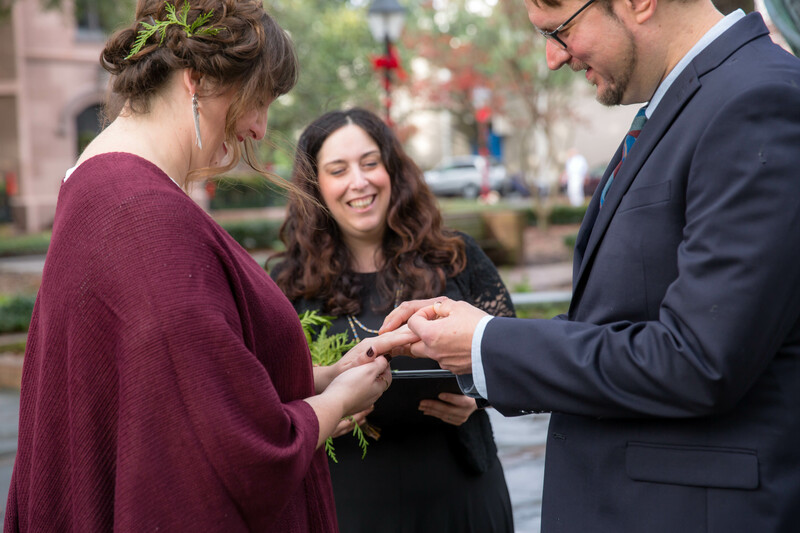 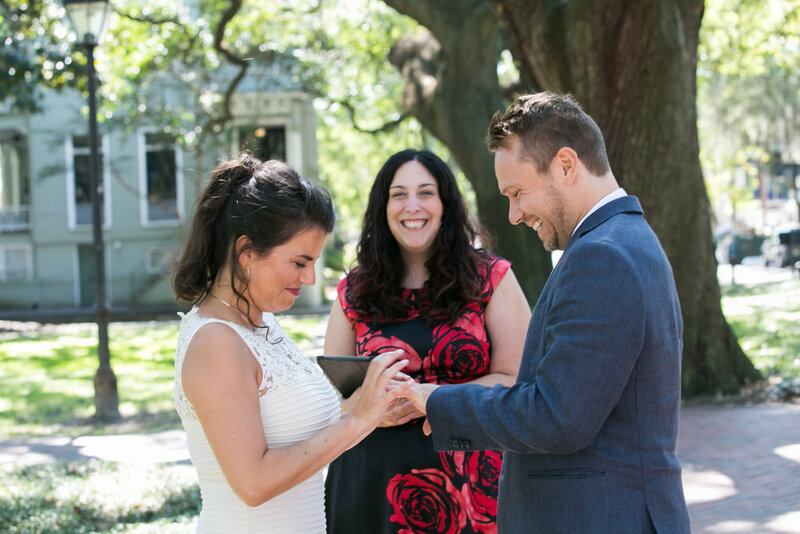 Just a friendly reminder that if you are planning on having more than 15 guests, or use chairs or other structures, the City of Savannah requires a permit to use it for your wedding ceremony. 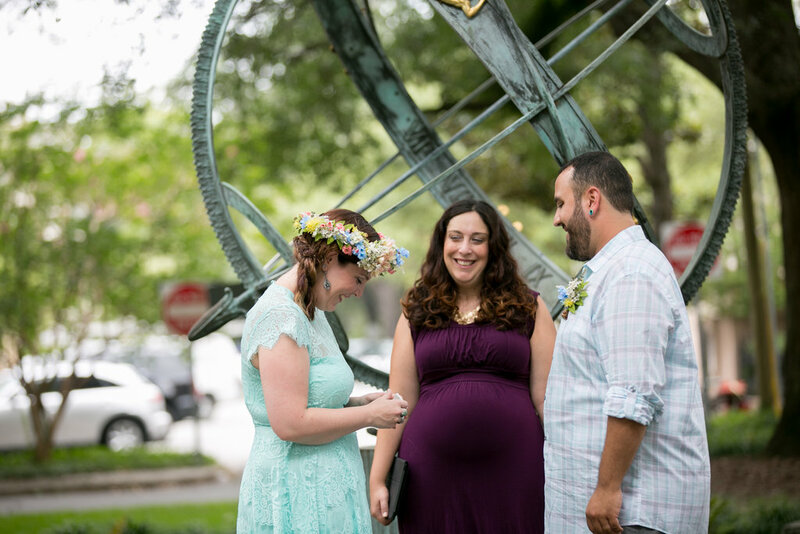 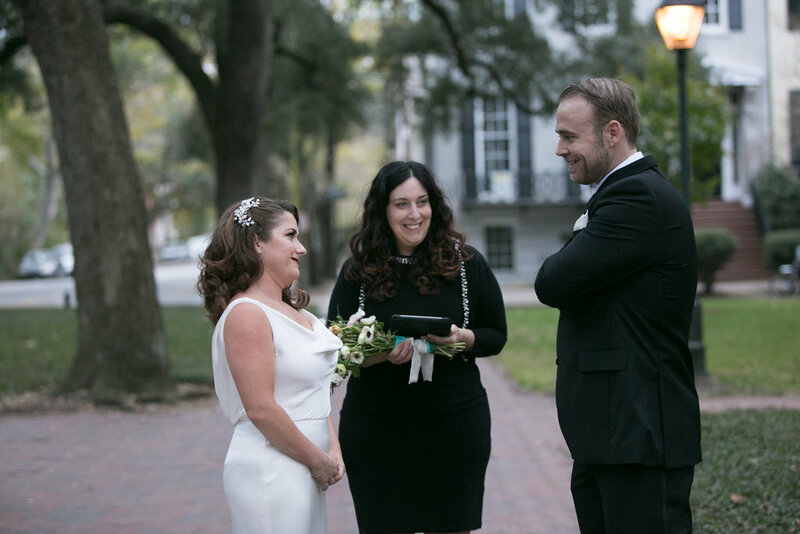 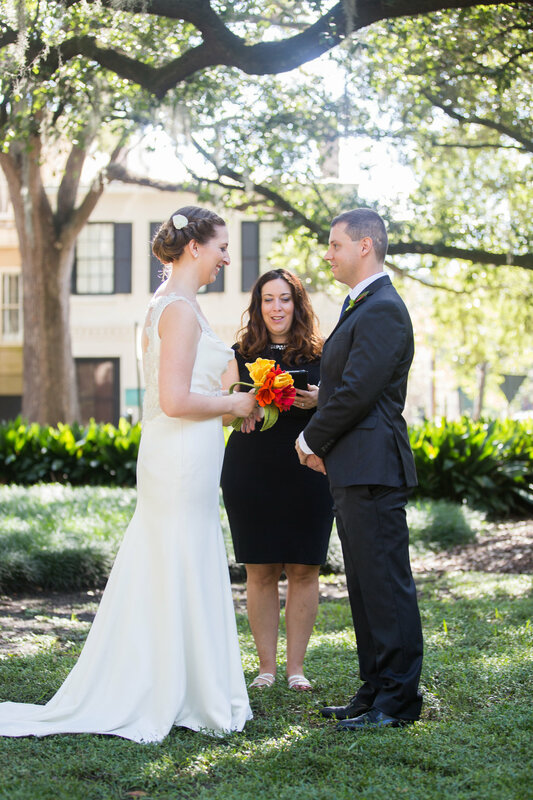 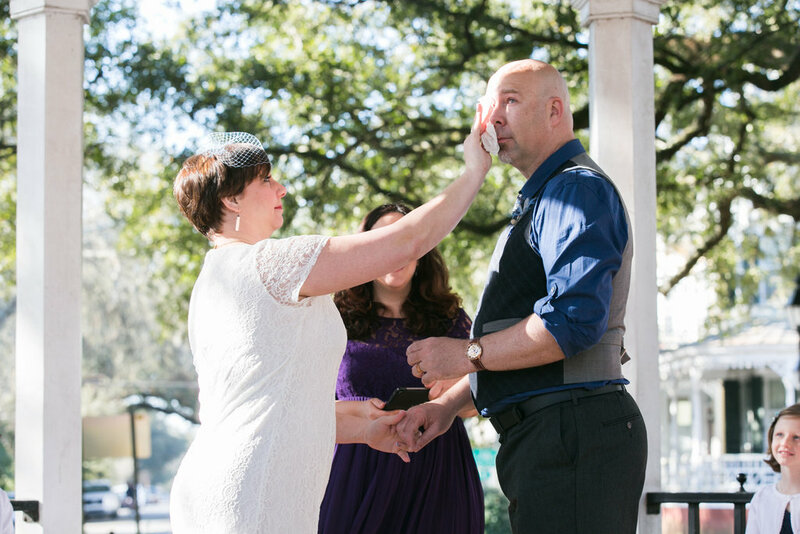 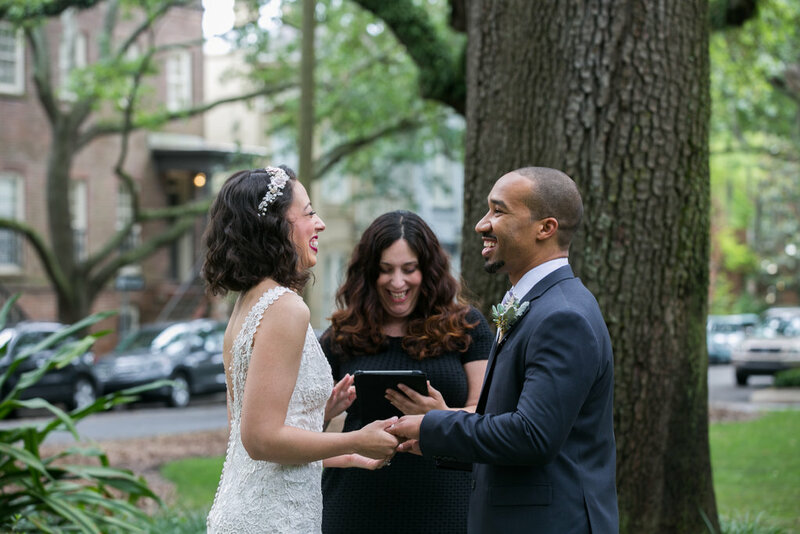 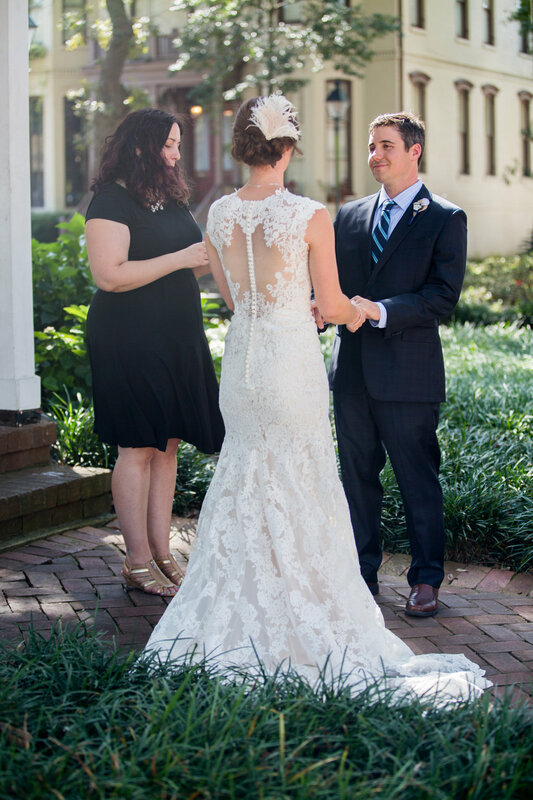 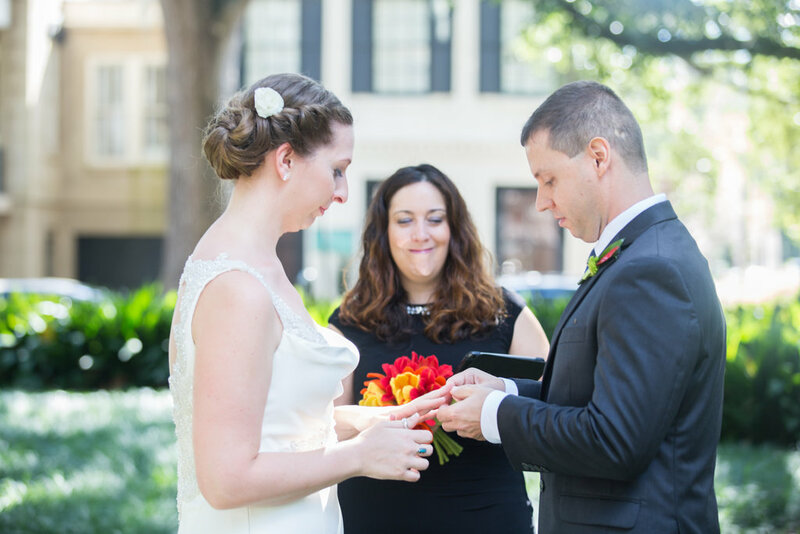 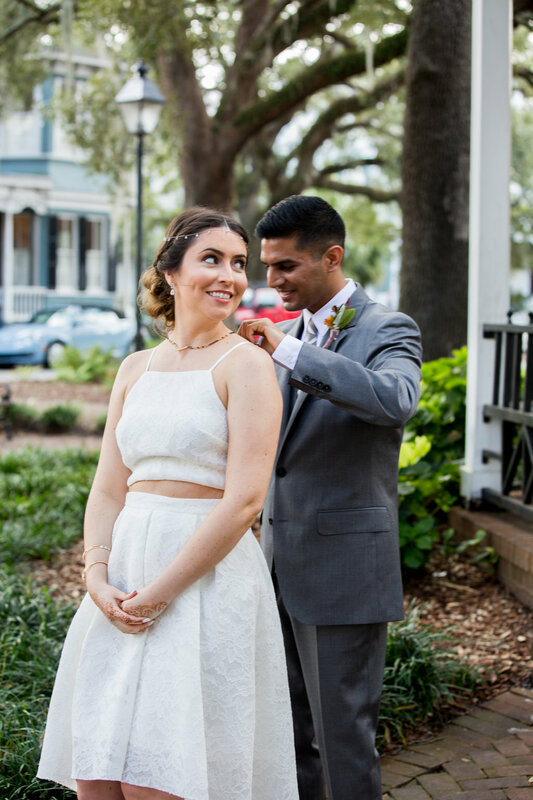 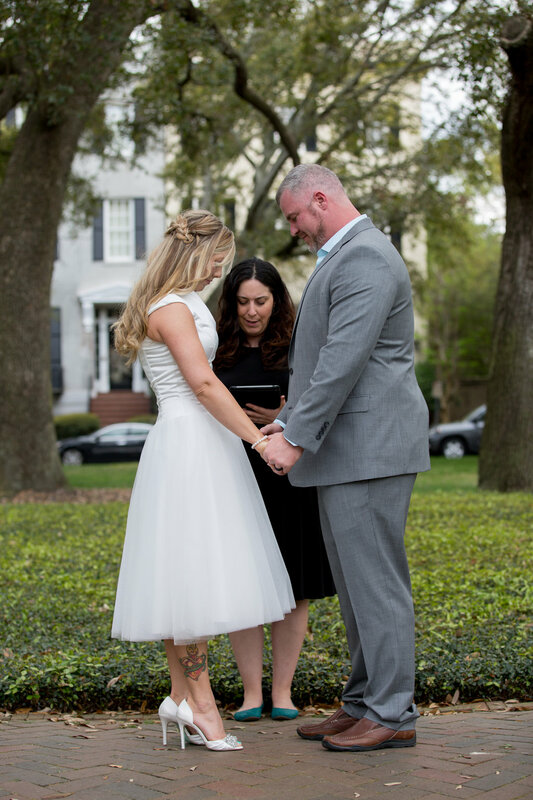 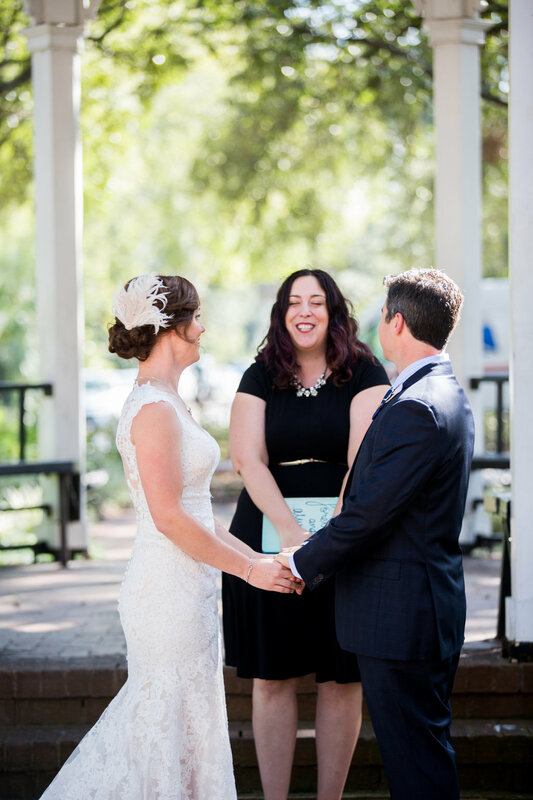 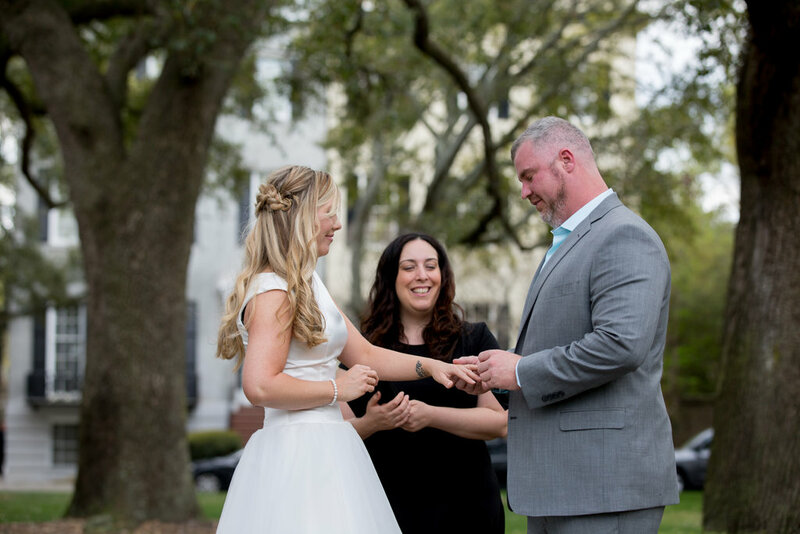 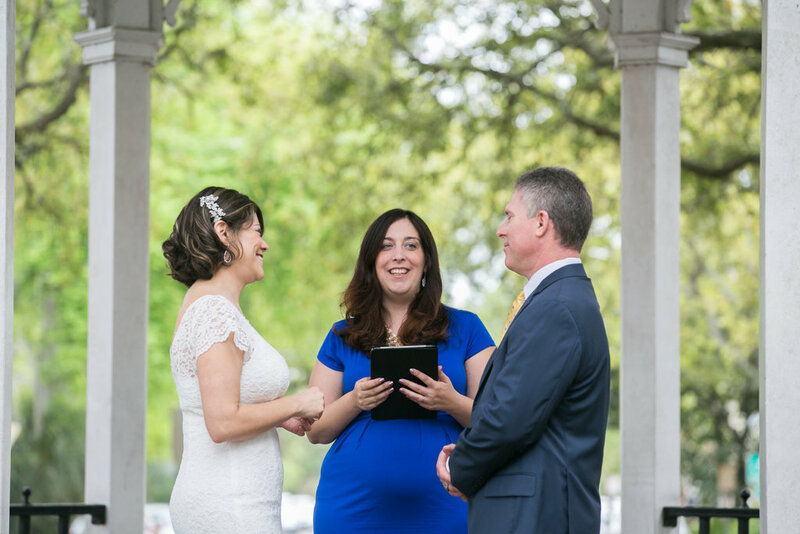 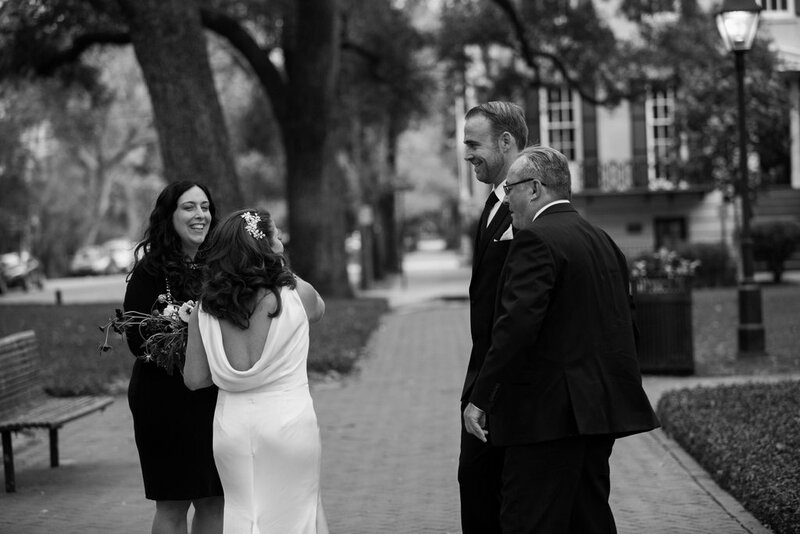 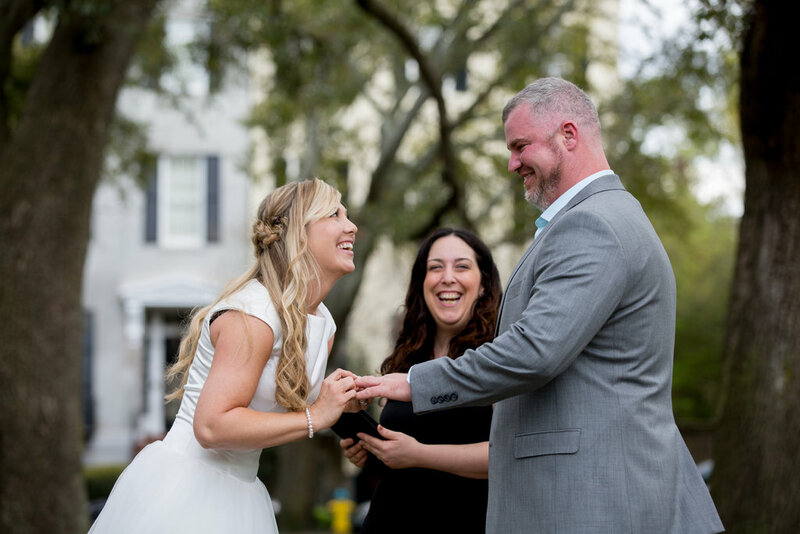 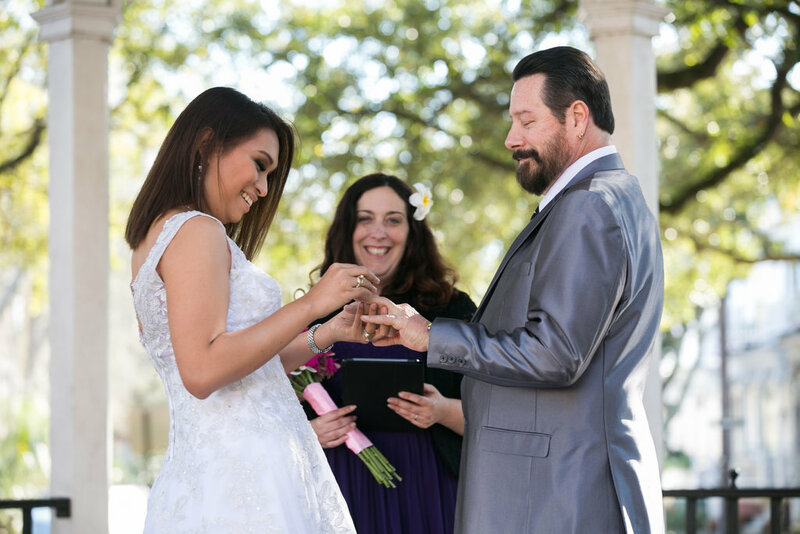 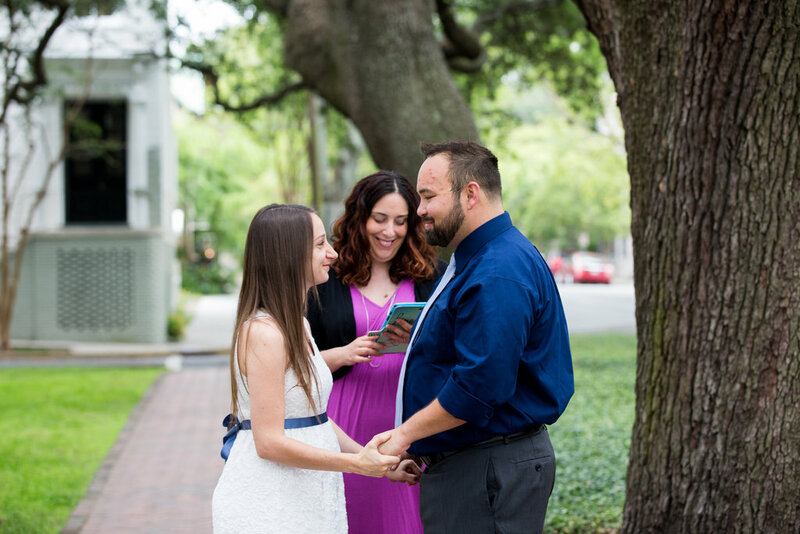 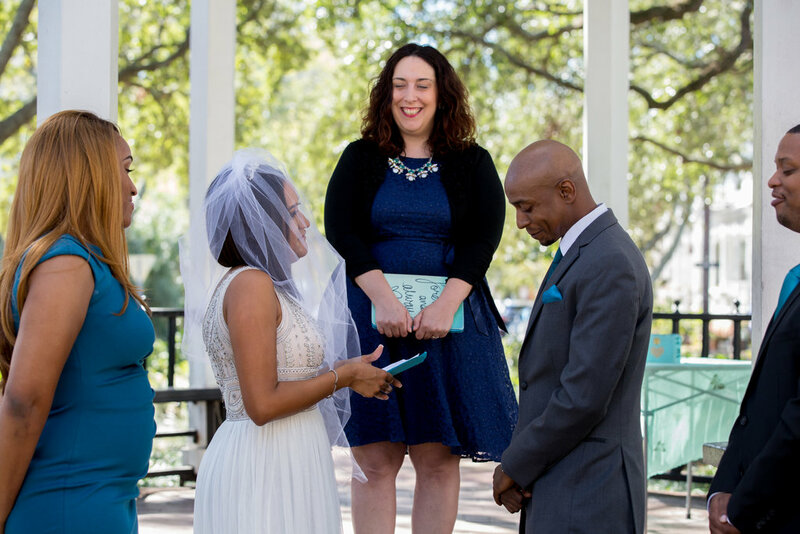 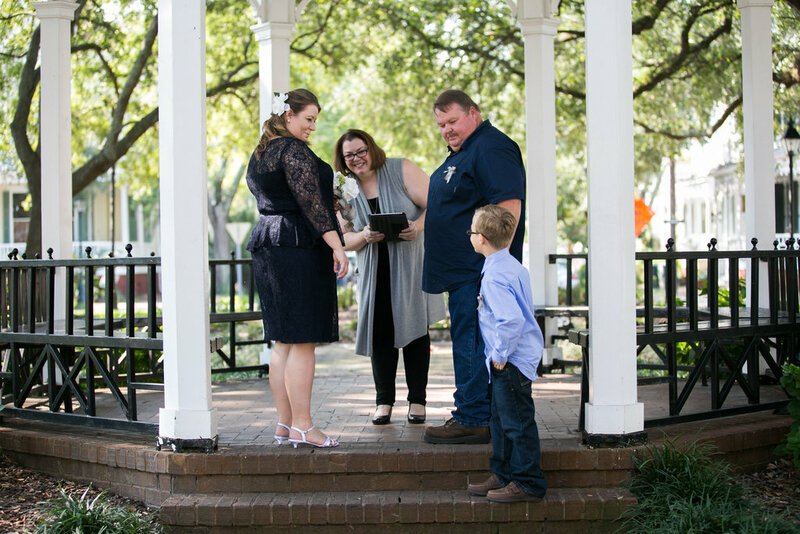 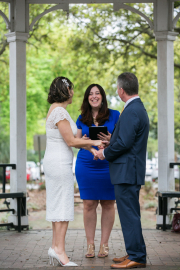 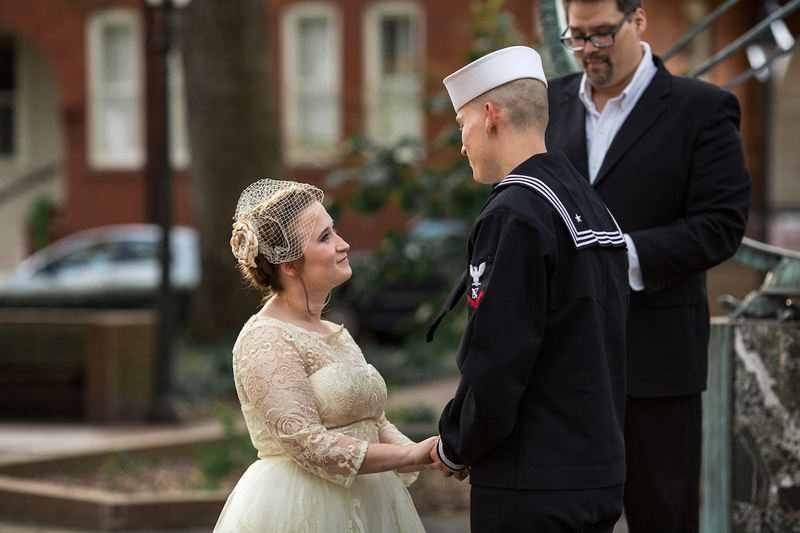 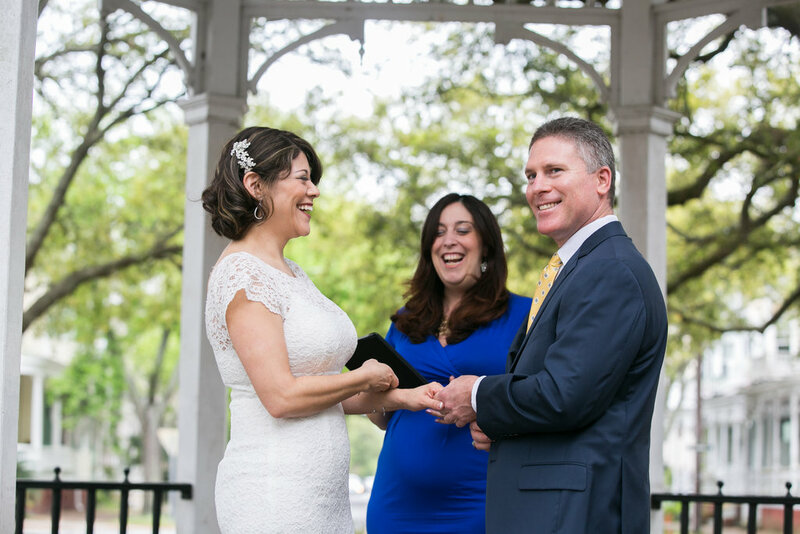 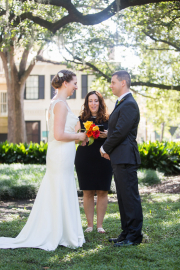 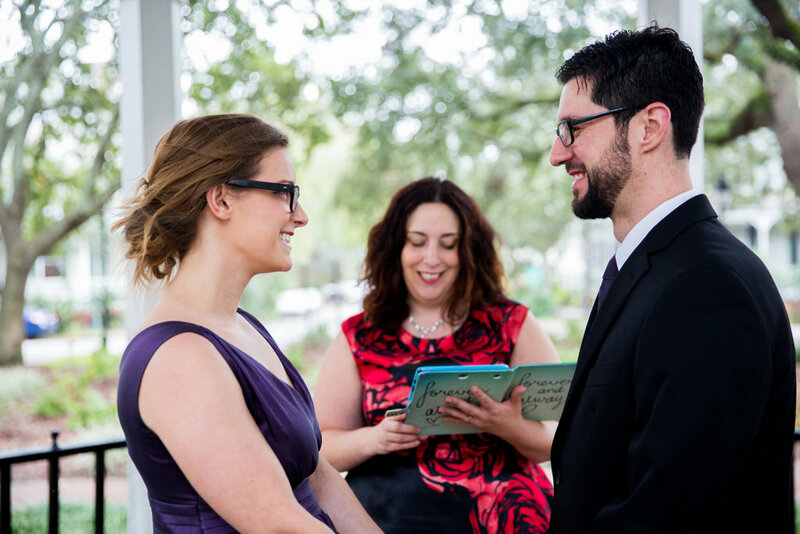 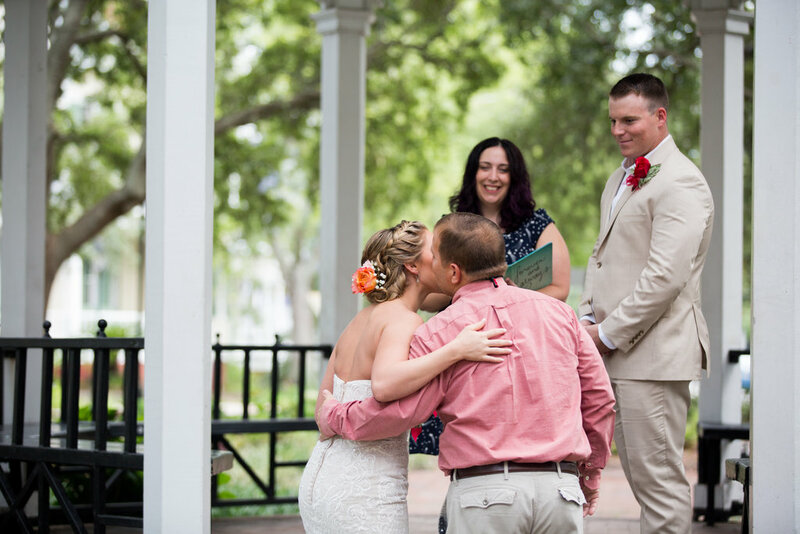 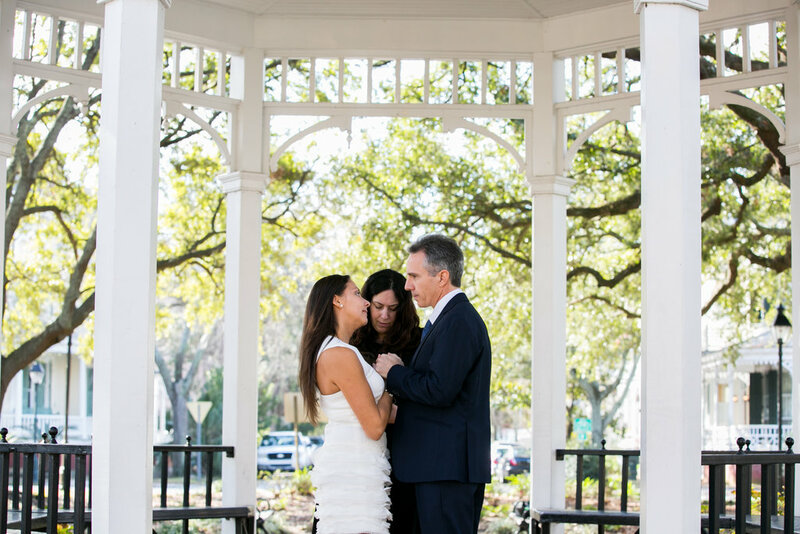 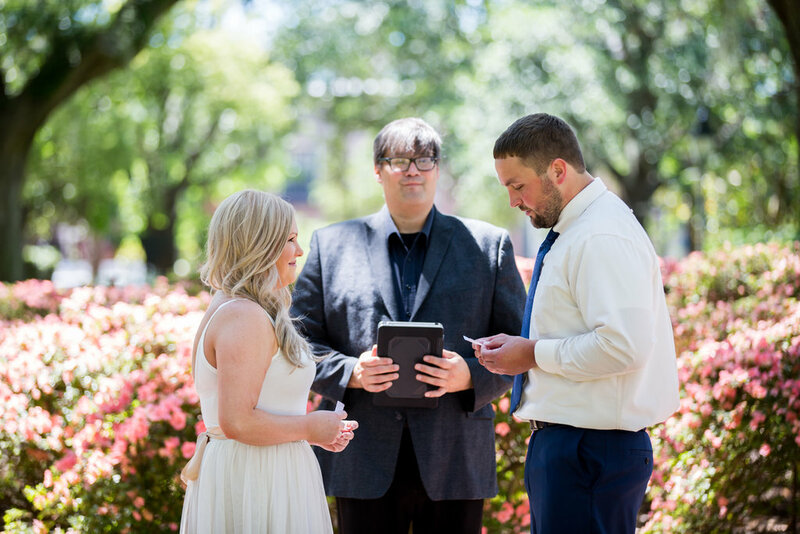 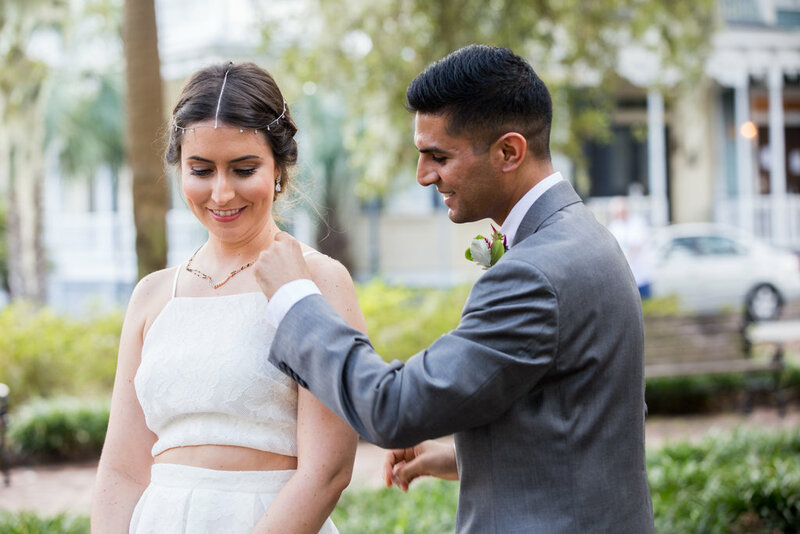 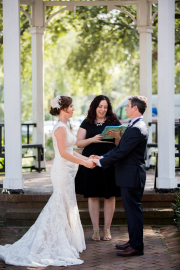 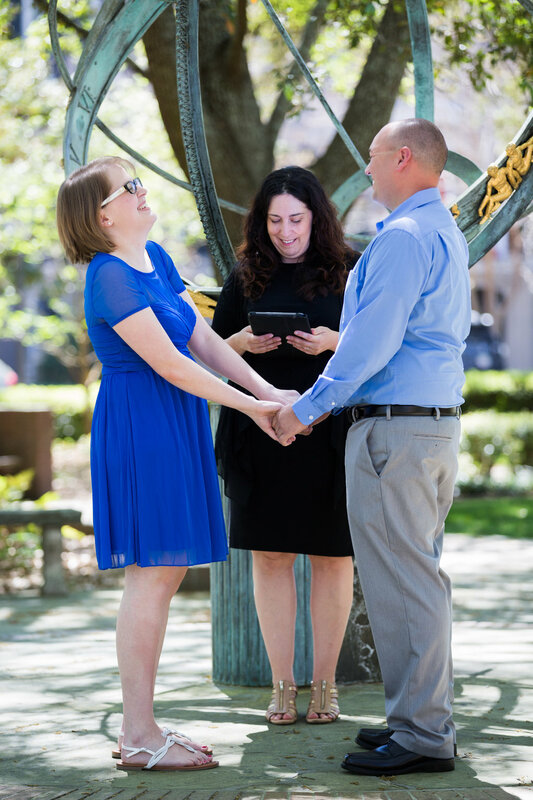 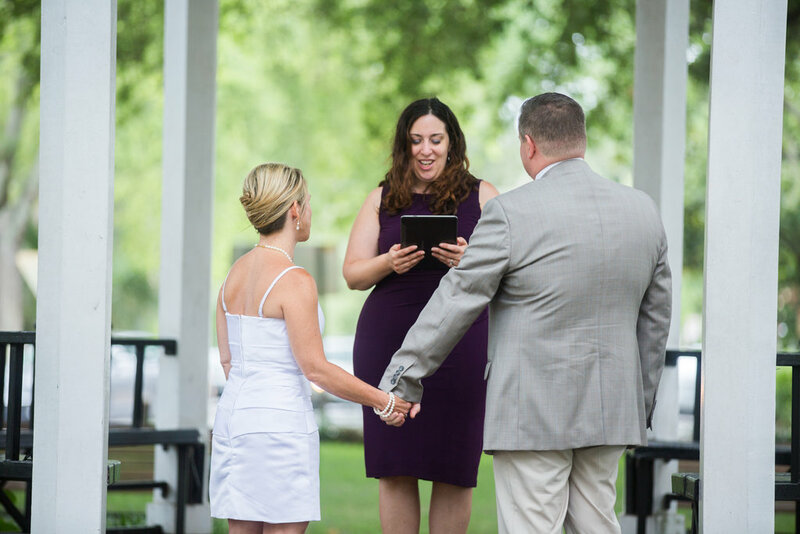 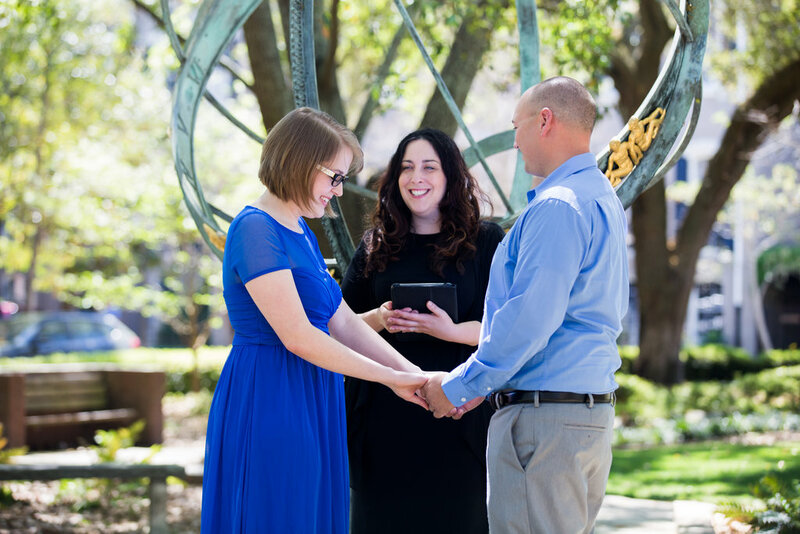 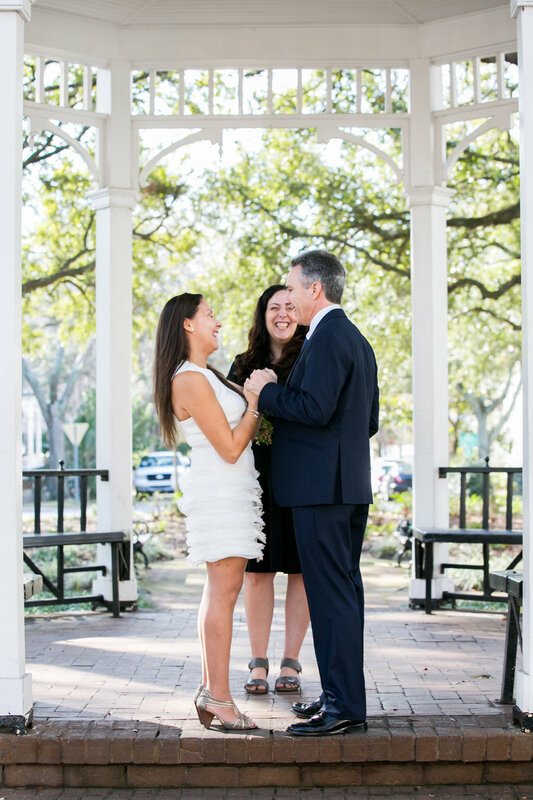 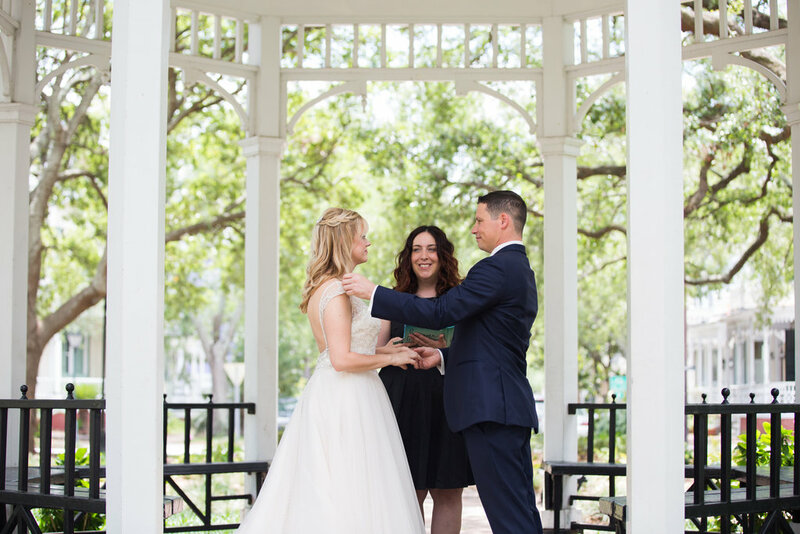 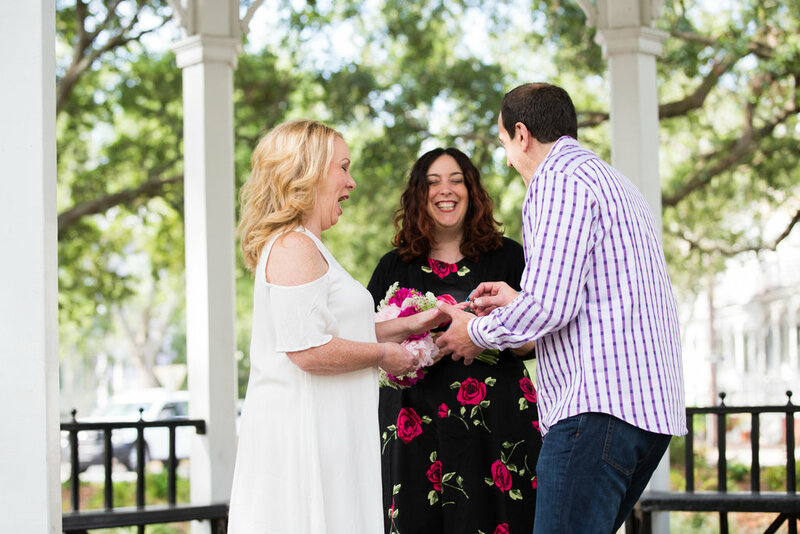 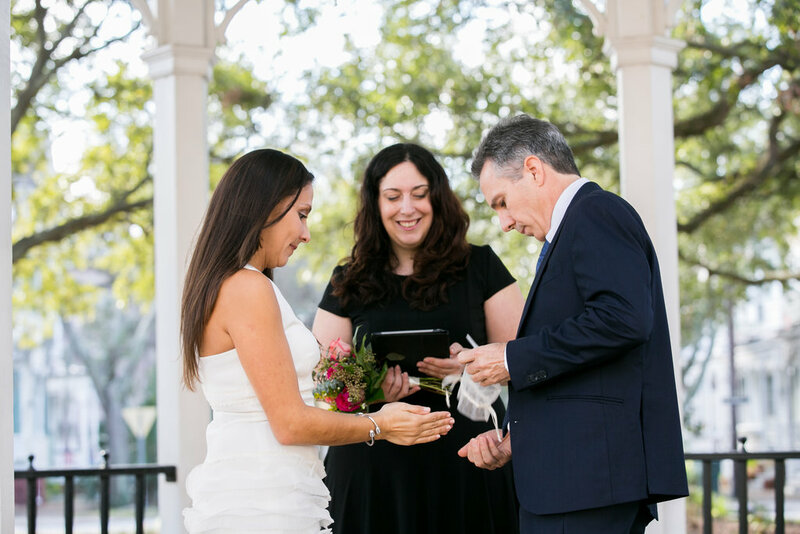 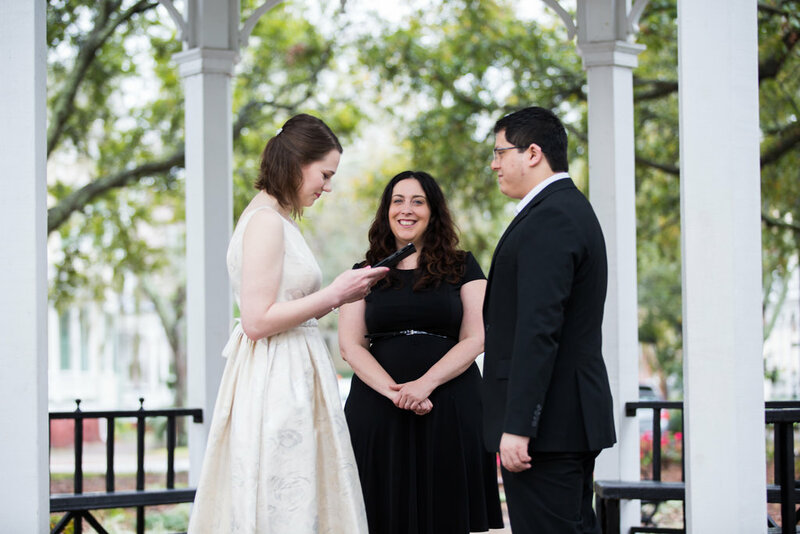 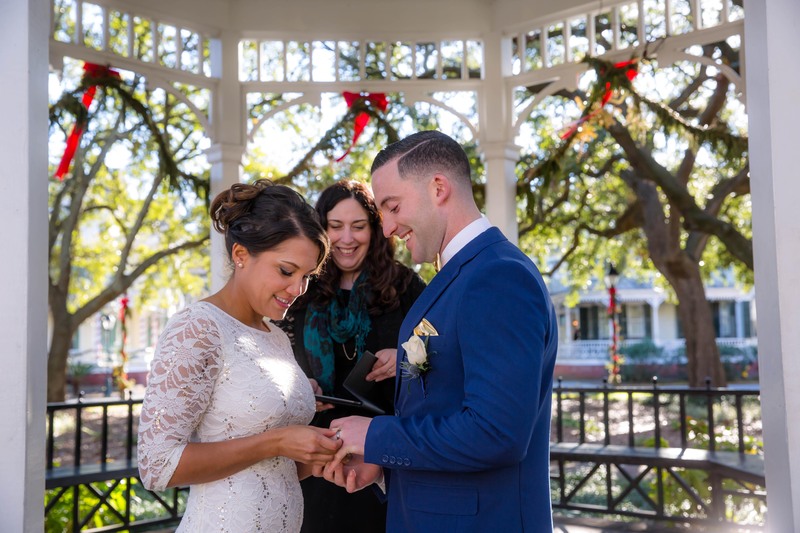 Enjoy our gallery of elopement and wedding ceremony photos in Whitefield, Troup, Pulaski, and Chatham squares!